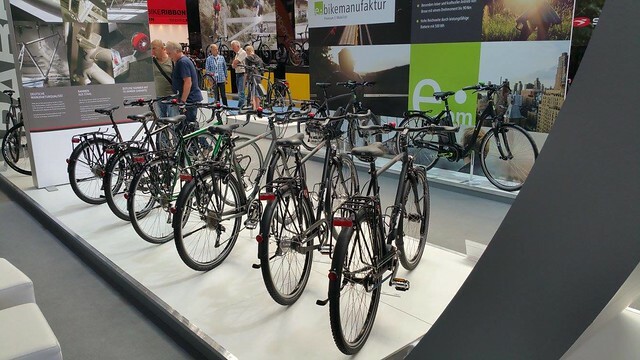 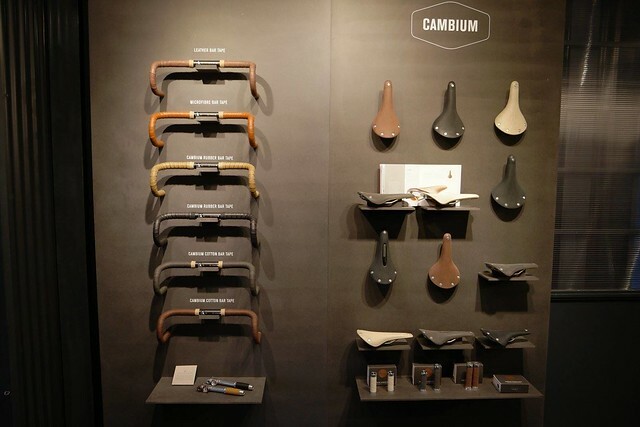 Eurobike is the biggest bike tradeshow in the world, and the place where most manufacturers unveil their upcoming bikes and products. 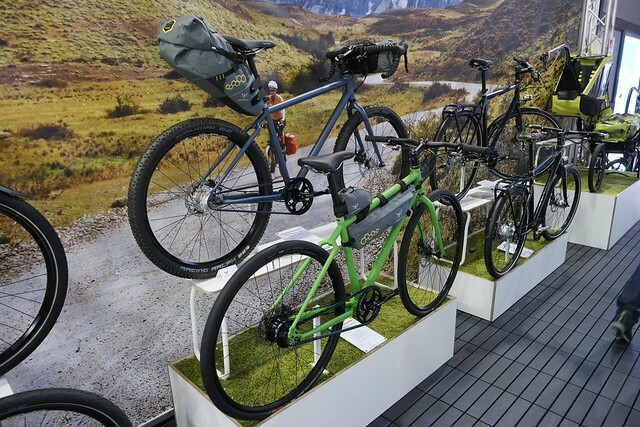 This year there was huge growth in the off-road touring sector, as well as with e-Bikes and bikepacking gear. 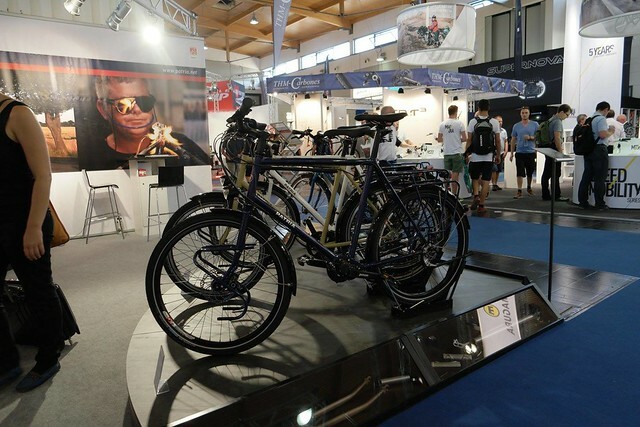 Unfortunately I couldn’t make Eurobike, so it is with thanks to Kenni and Heidi of Ecotrip.bike, and Martin from Biketour.global that we have these images. 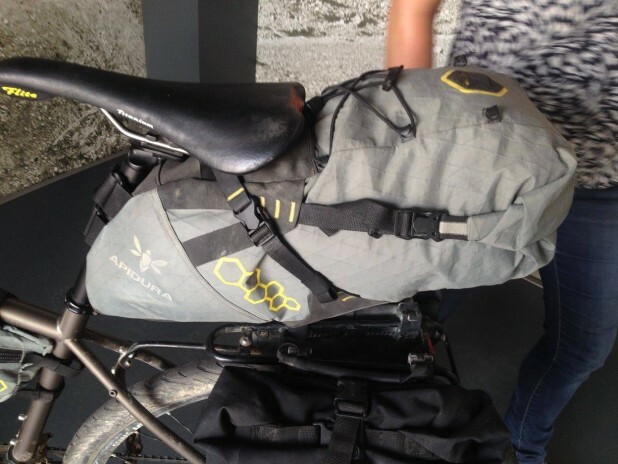 Kenni and Heidi are currently travelling sustainably and simply around Europe on their bikes – make sure to check out their website or give them a follow on Instagram. 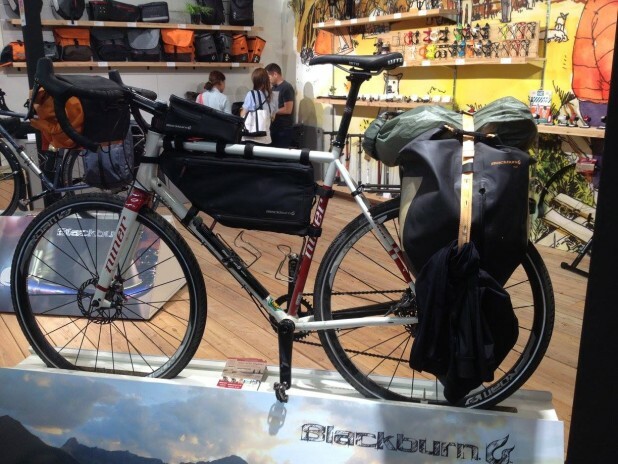 You can follow Martin on the BiketourGlobal Facebook or Instagram pages. 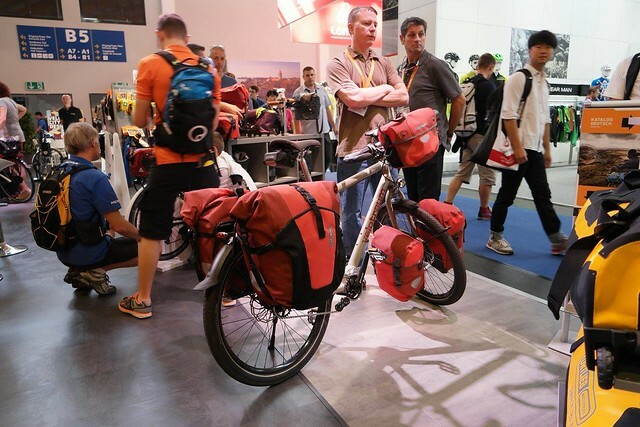 Ok, without further ado, here’s a round-up gallery of all the touring, trekking and bikepacking gear from the show. 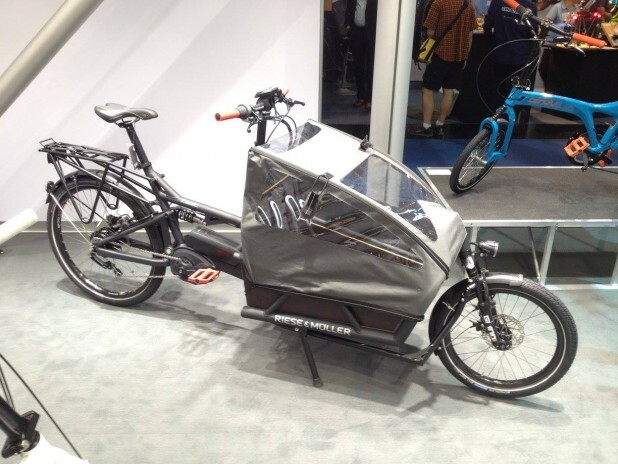 I will update this resource as more photos become available. 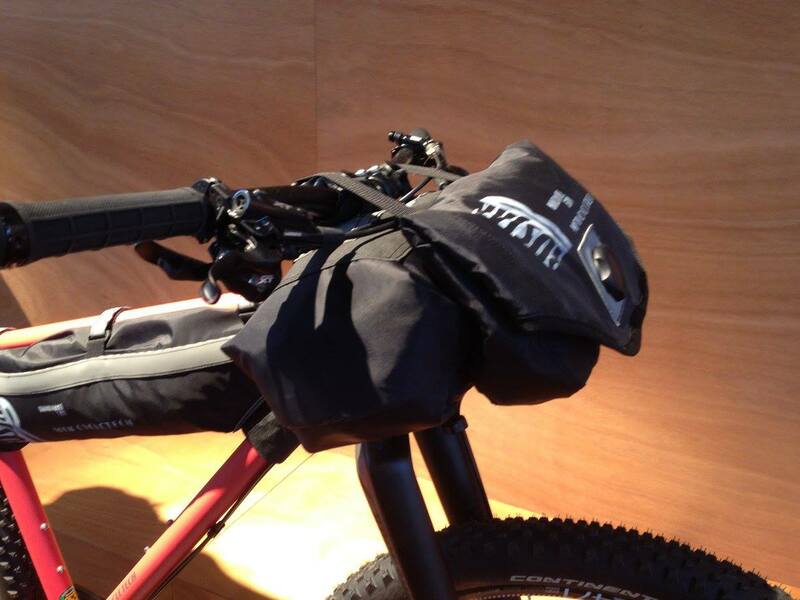 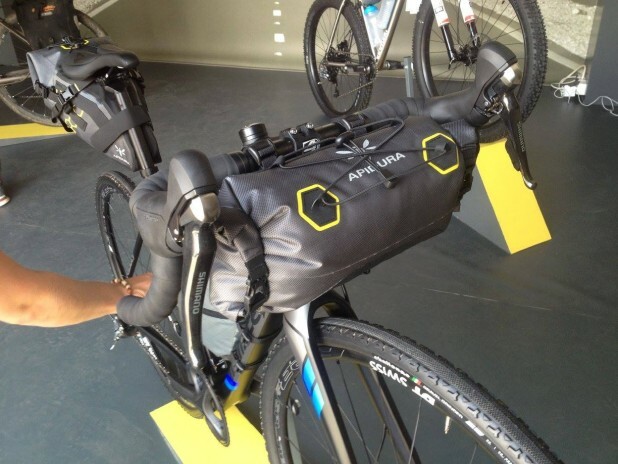 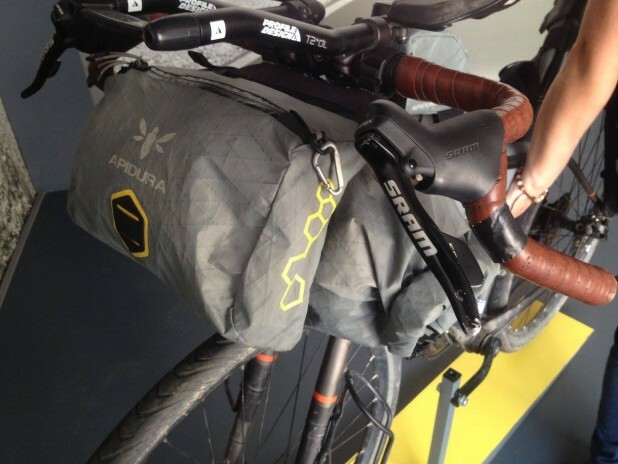 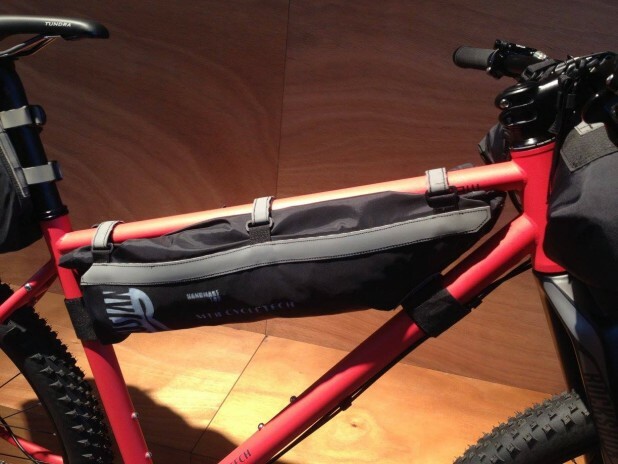 Apidura are one of the most prominent bikepacking bag brands around. 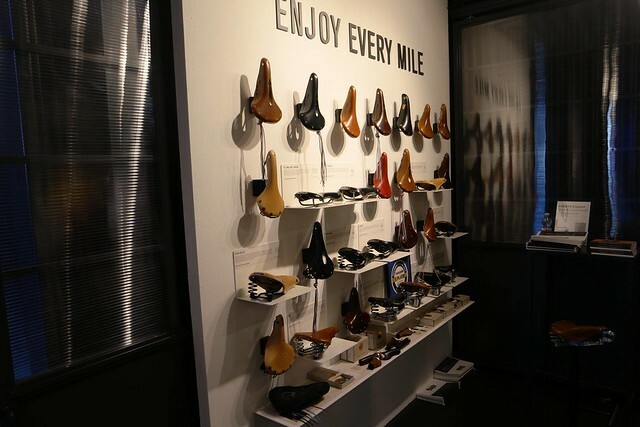 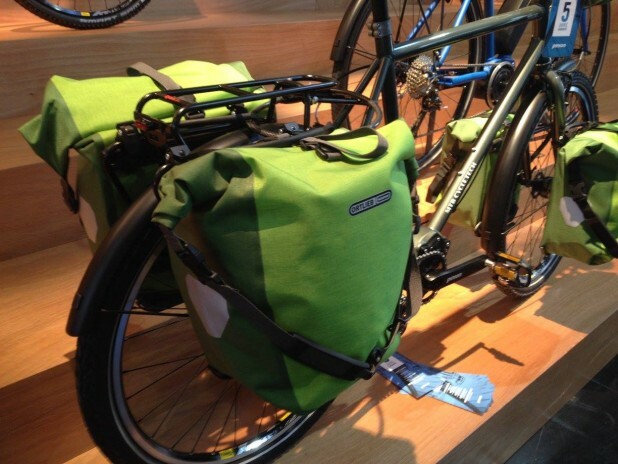 They had all of their bag options on well-used show bikes to give you an idea of what they are capable of. 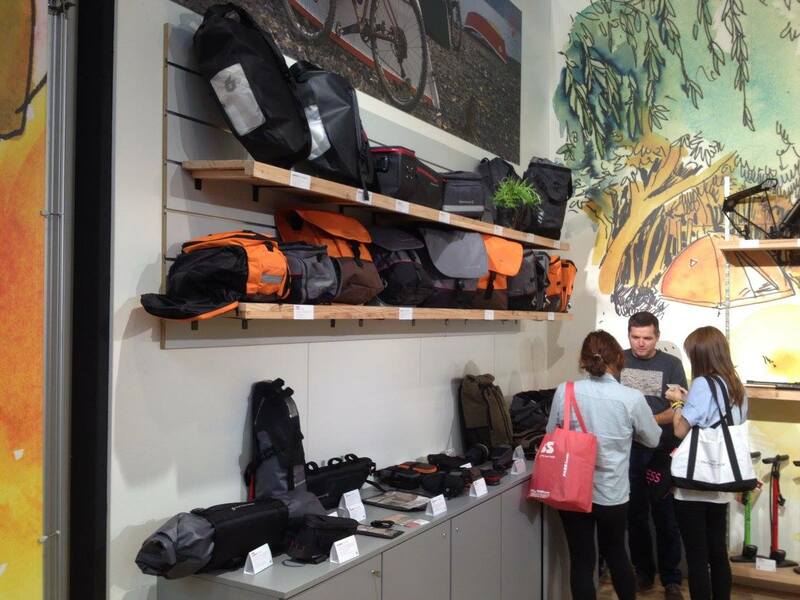 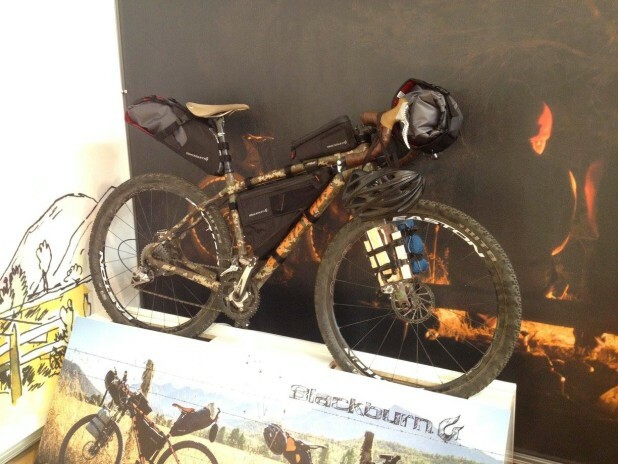 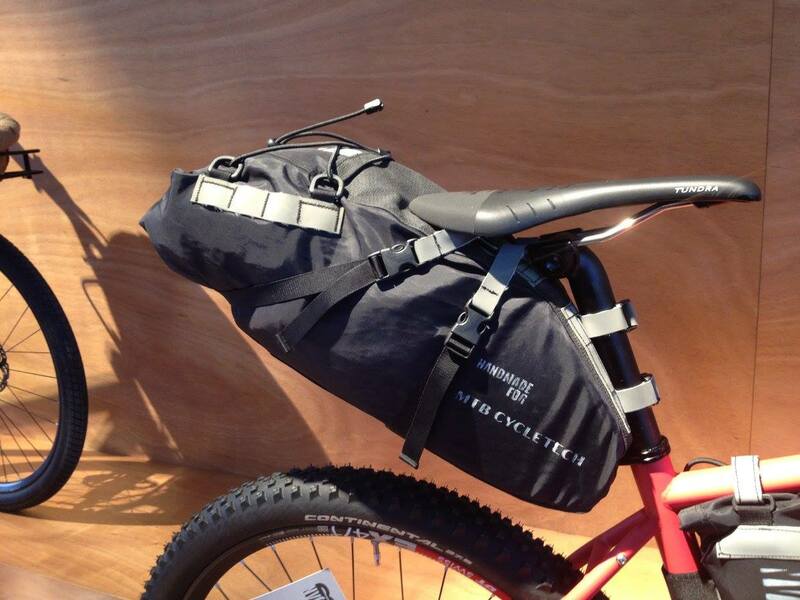 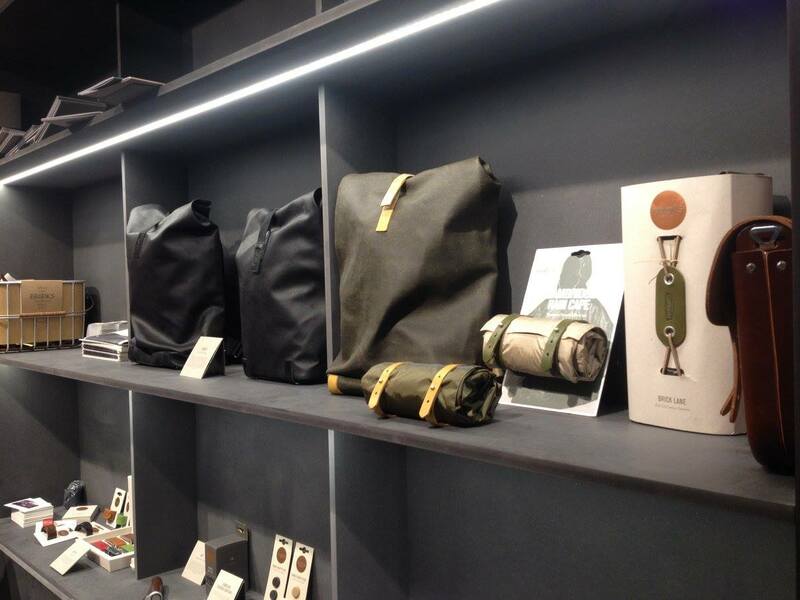 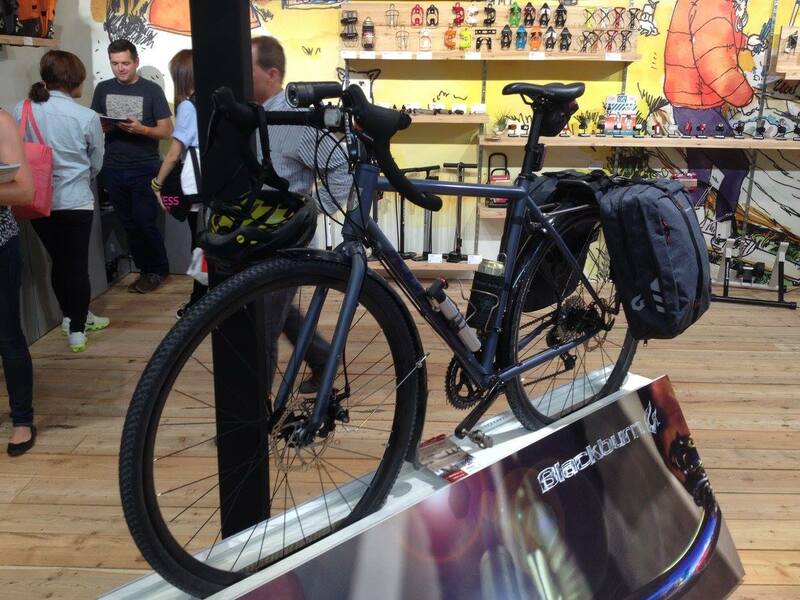 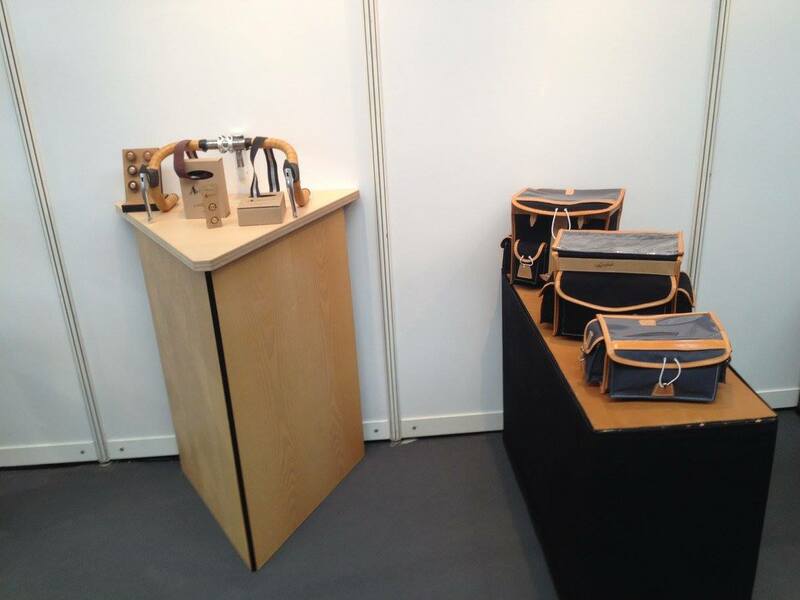 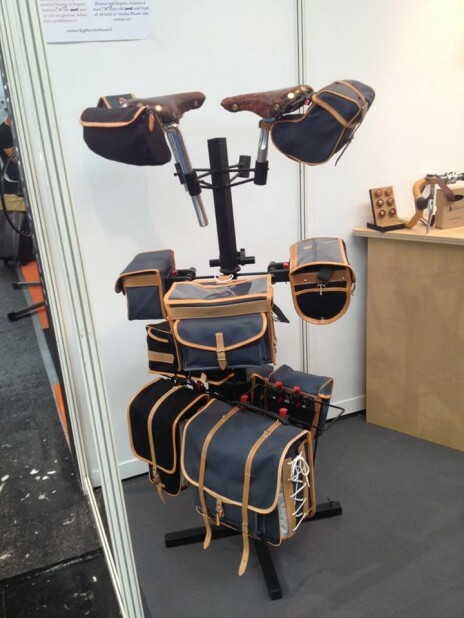 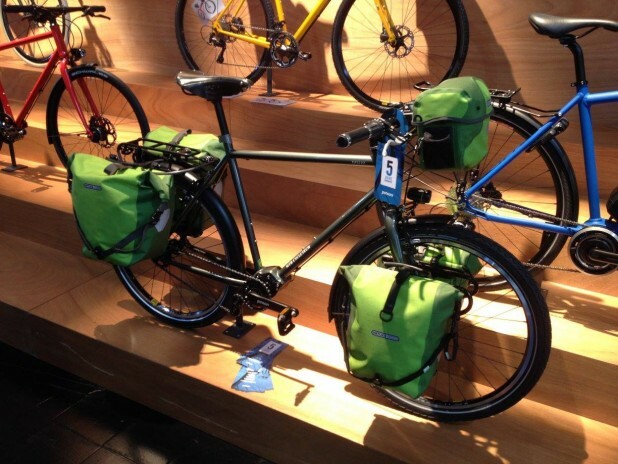 Blackburn have recently built themselves quite a collection of bicycle touring / bikepacking bags, racks and accessories. I especially like their handlebar roll and compression seat pack. 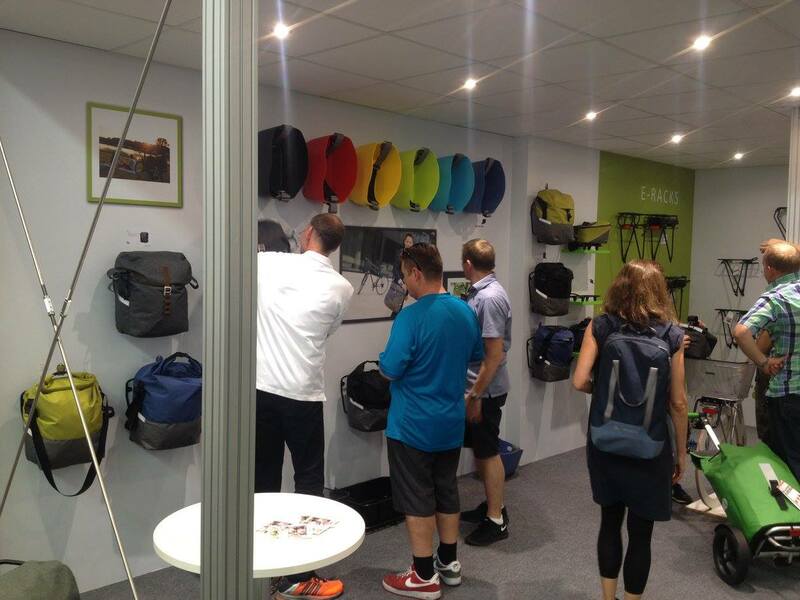 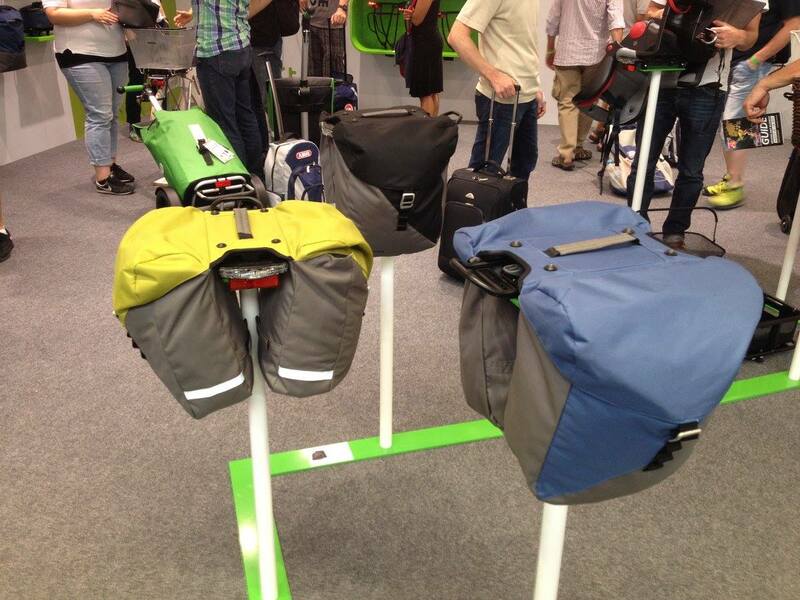 Brooks didn’t bring any new bicycle touring products to Eurobike, but they’ve certainly extended their casual bag range. 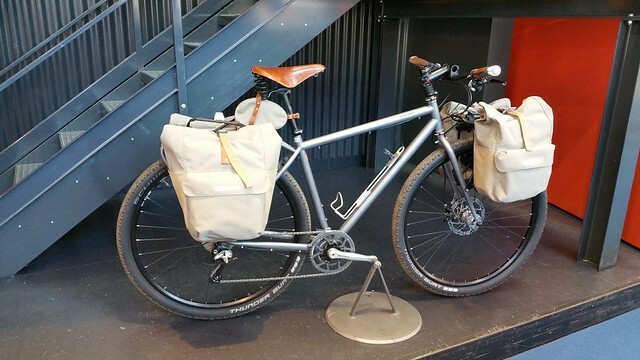 I also really like those sand coloured panniers with Ortlieb clips! 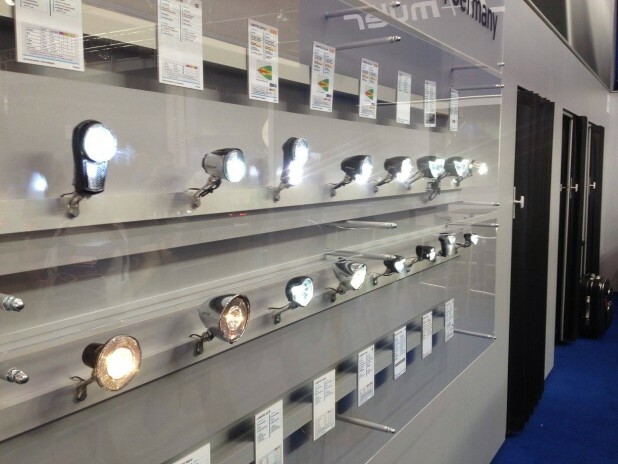 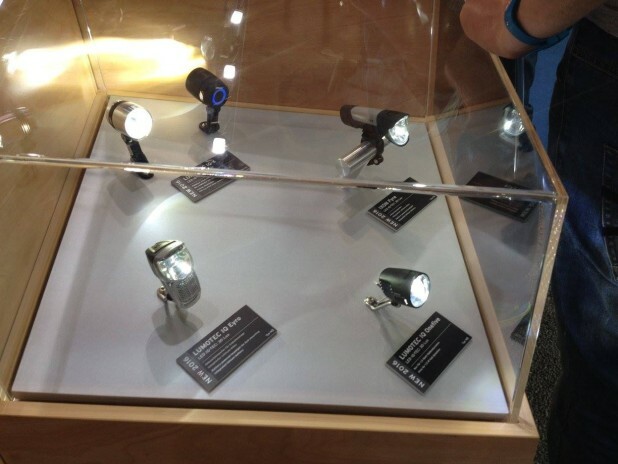 B&M didn’t disappoint with a handful of new dynamo lights for 2016. 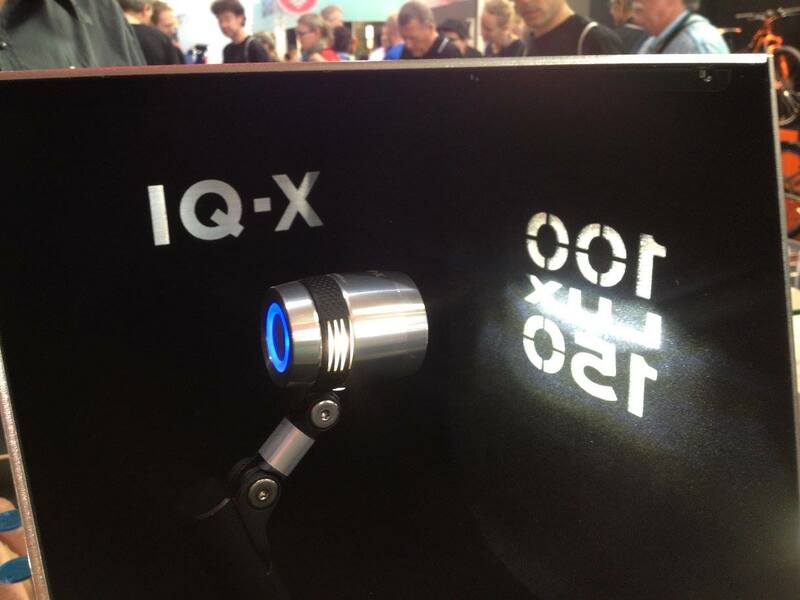 The IQ-X now tops the range in terms of brightness. 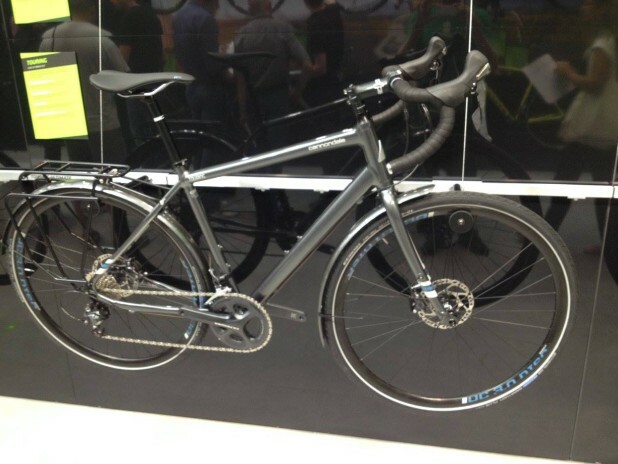 We’ve covered the fact that Cannondale have made their first touring bike in over five years. 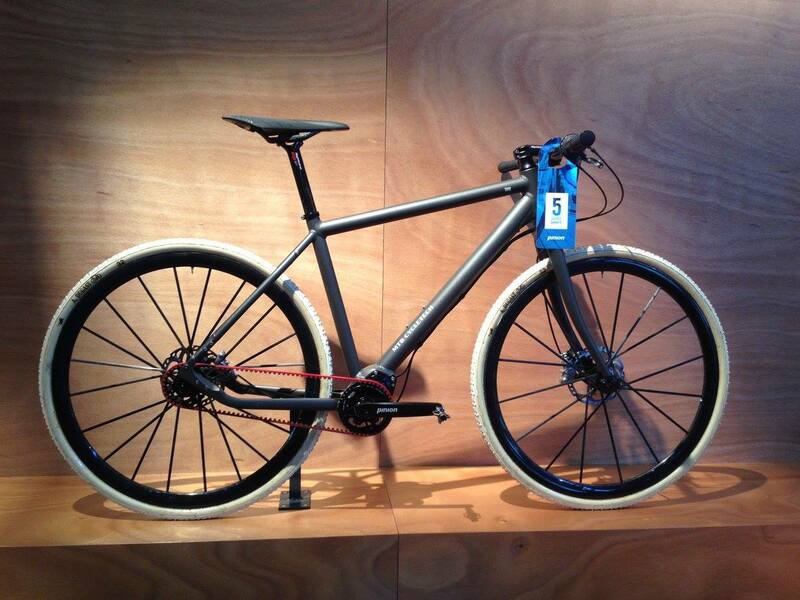 It looks just as neat in the flesh. 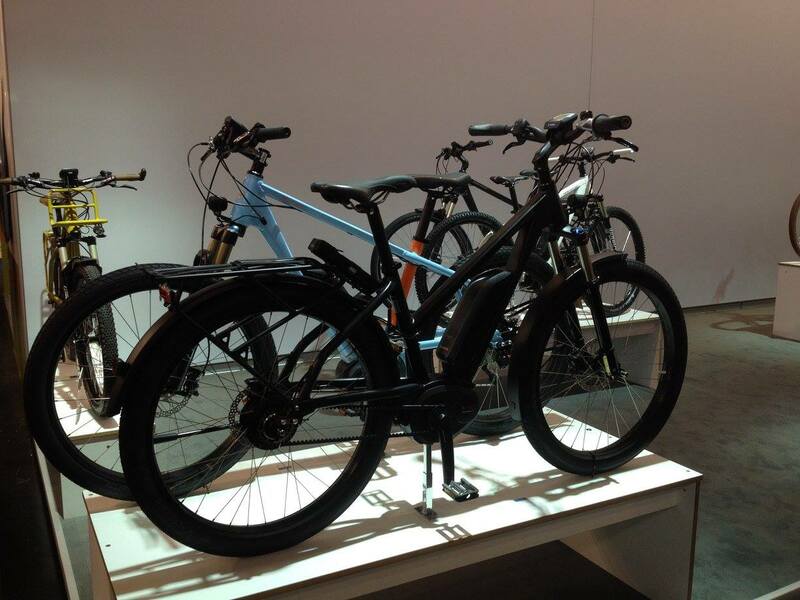 Centurion had some trekking e-Bikes at their stand which would be nice to ride down some of the major European rivers. 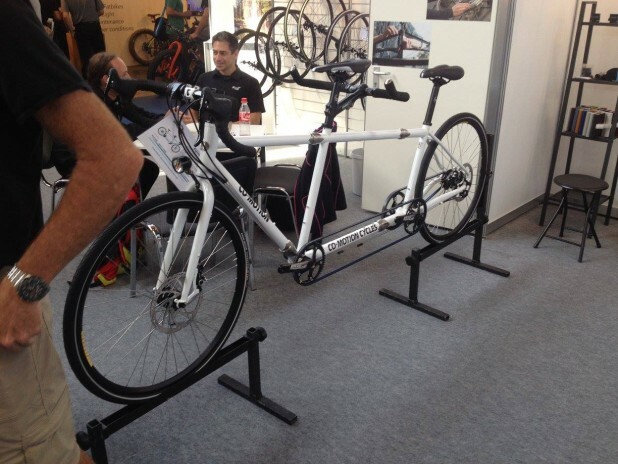 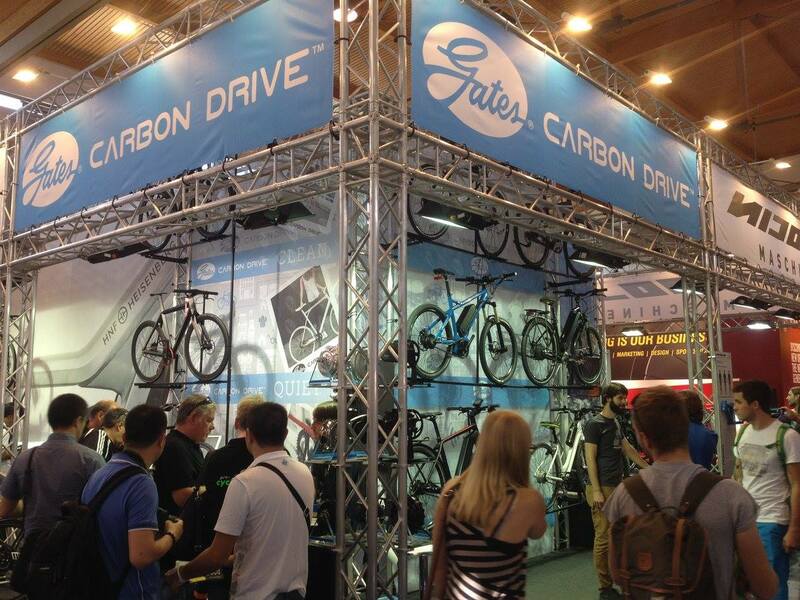 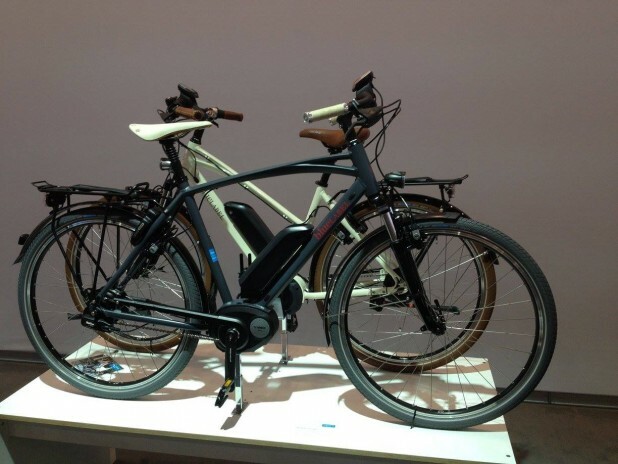 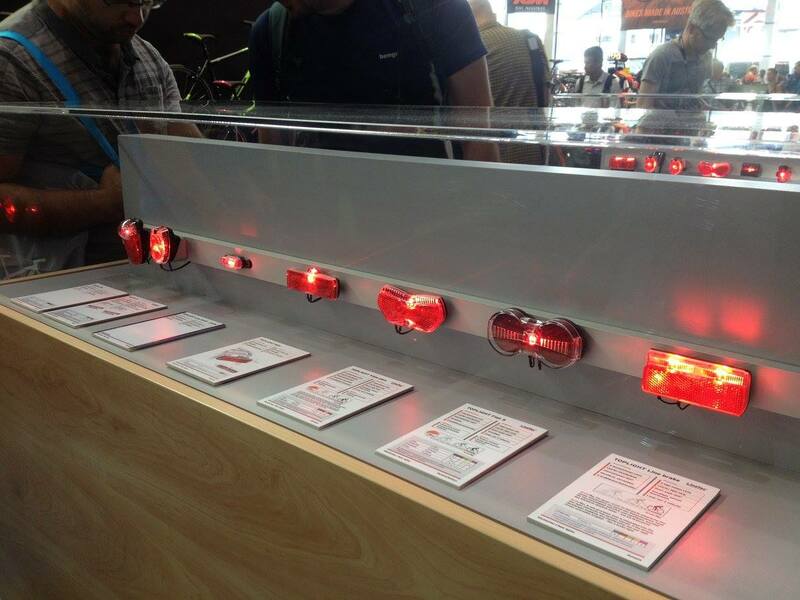 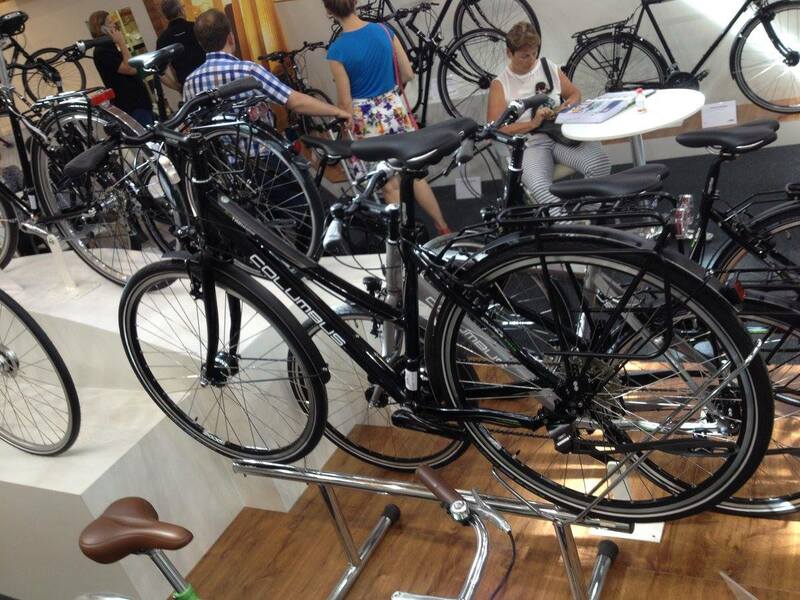 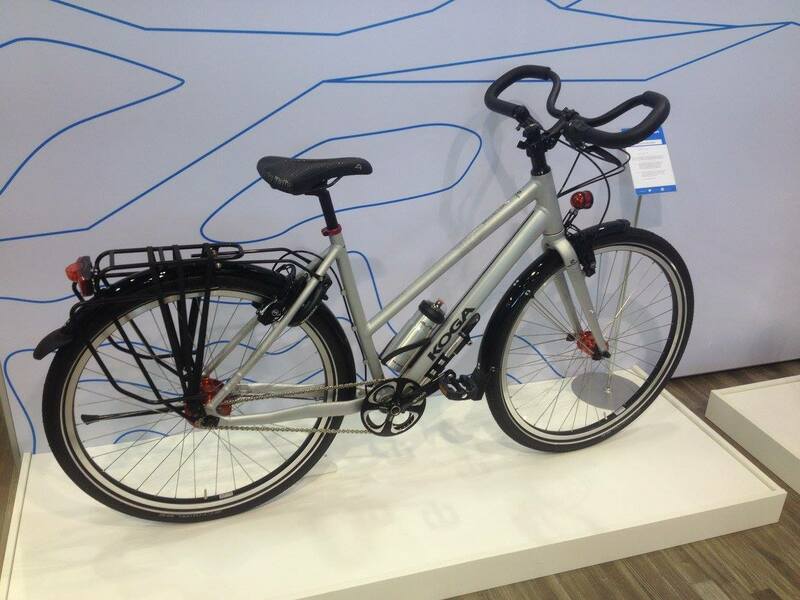 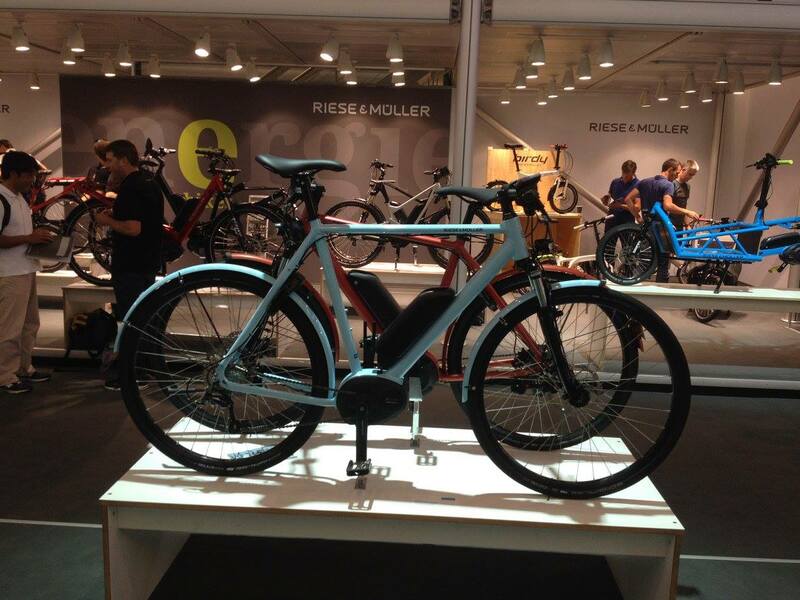 E-Bikes are now pretty common place at Eurobike! 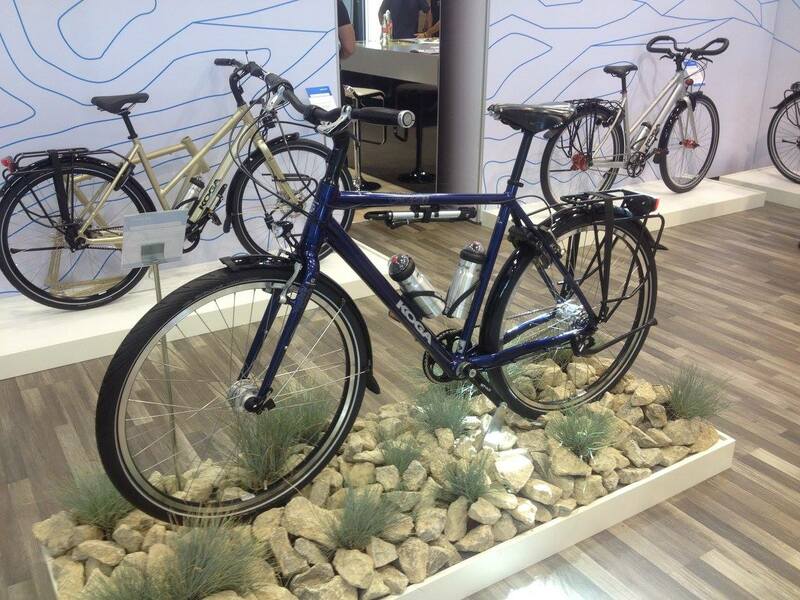 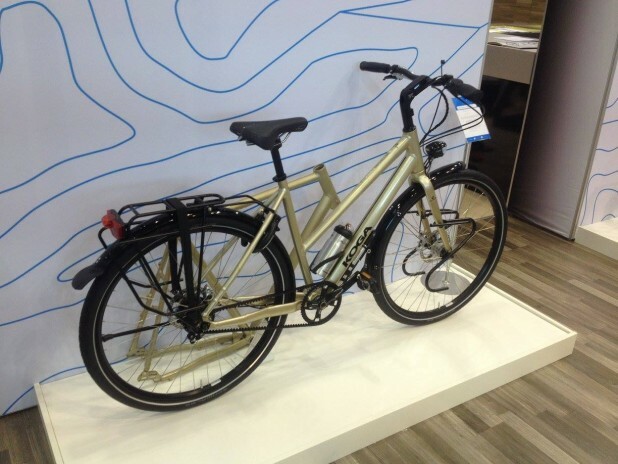 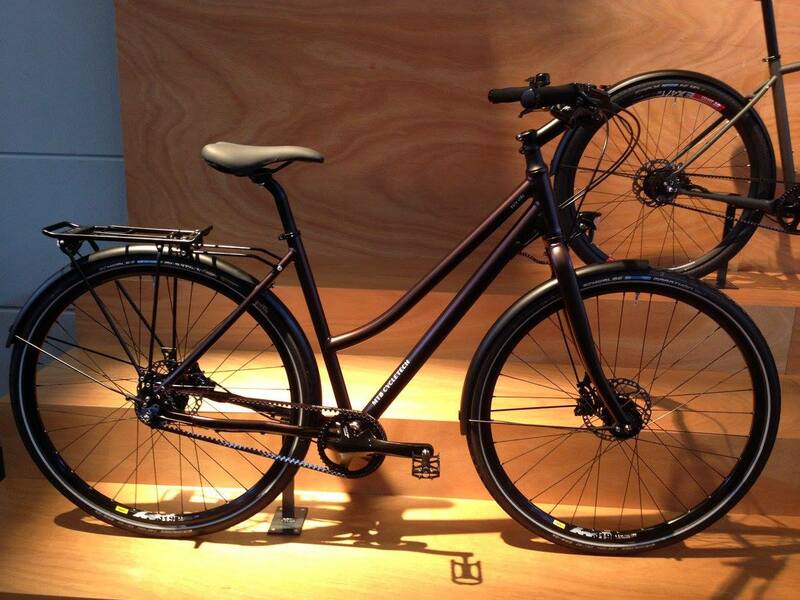 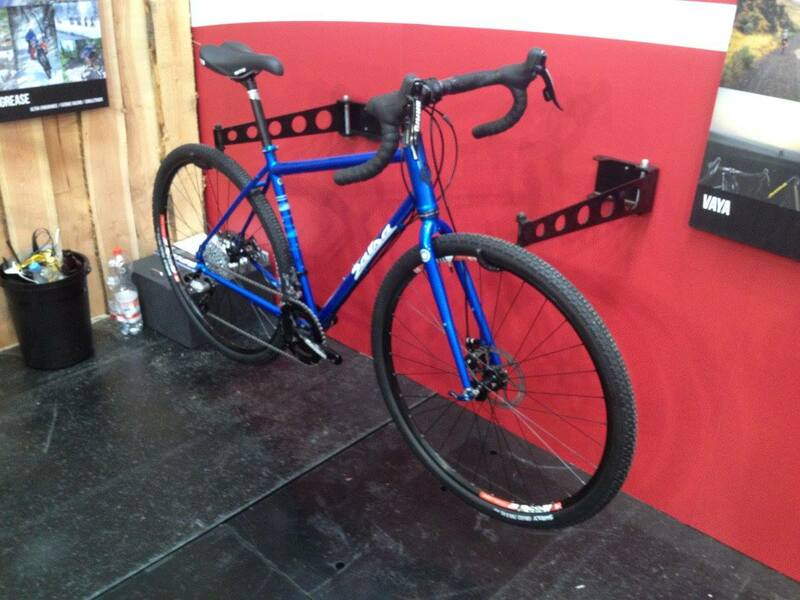 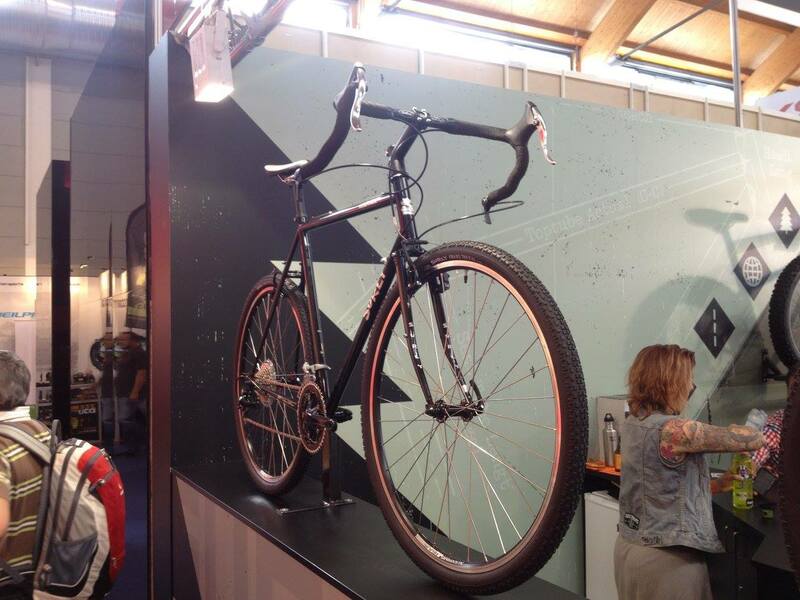 Columbus were showing off their touring and trekking bikes, including a nice step-through ladies bike. 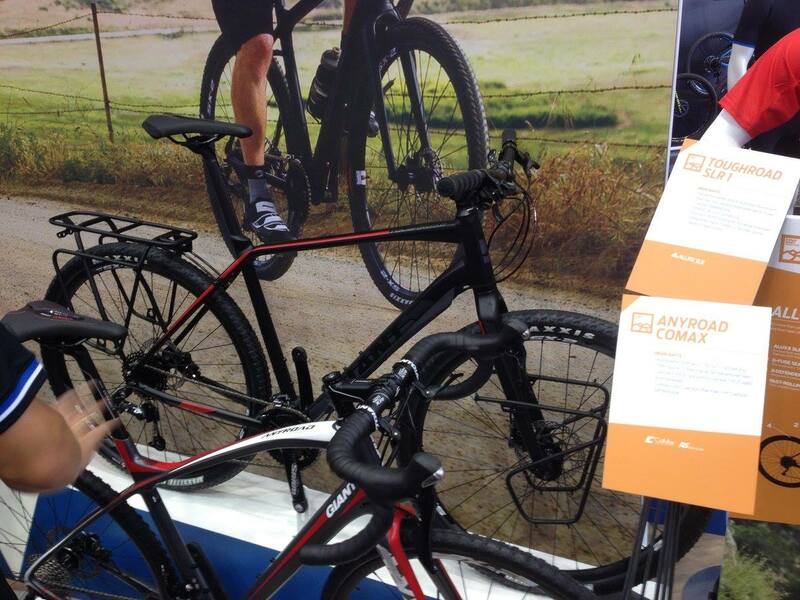 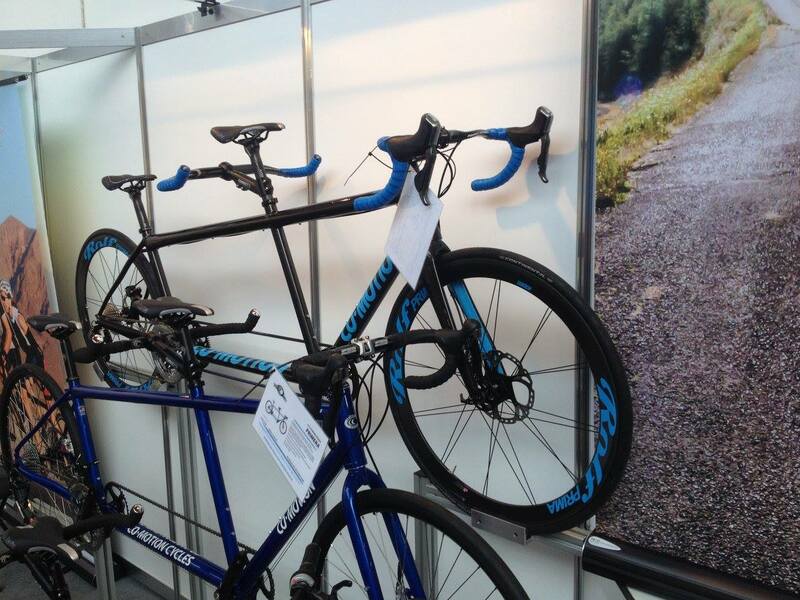 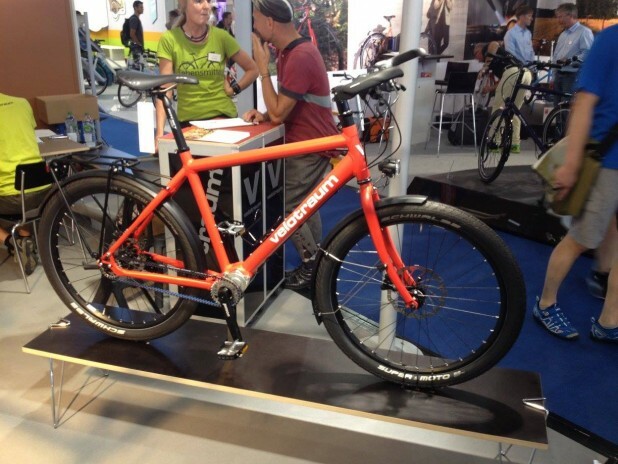 Co-Motion had their gravel, touring and road tandems on show. I have a soft spot for Co-Motion bikes, considering I’ve used their Equator tandem to ride from Turkey to Australia. 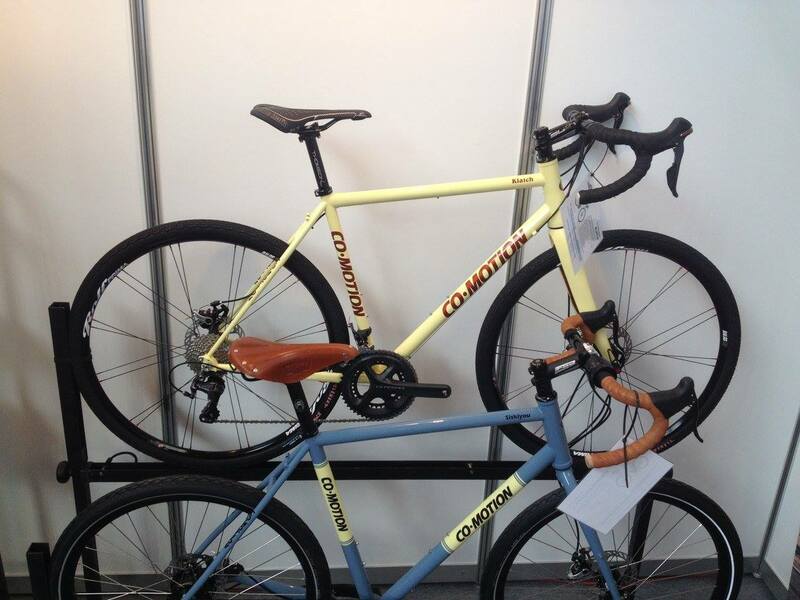 They’re super well made bikes in general, and definitely some of the best tandems around! 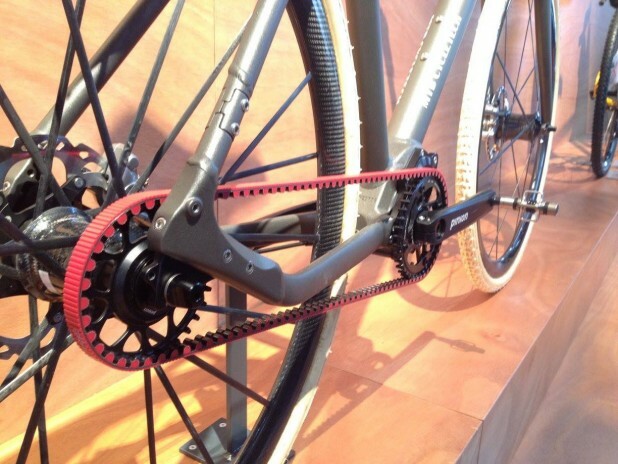 Gates recently released their new CDC:EXP belts and sprockets, and were keen to have them on display. The sprockets are deeper set than the standard model – designed for ‘expedition’ use. 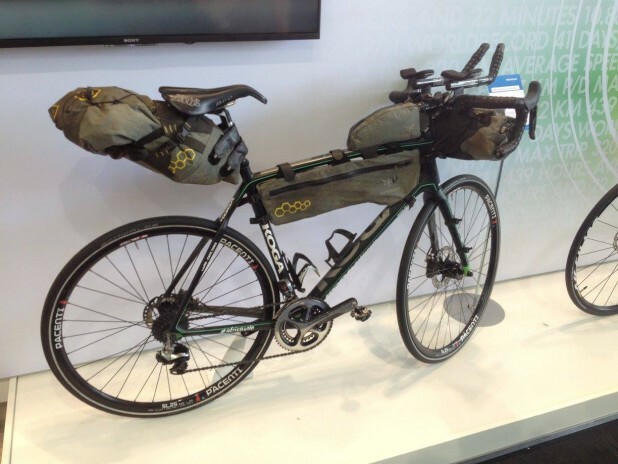 Giant has recently released their ToughRoad SLR off-road touring bike. 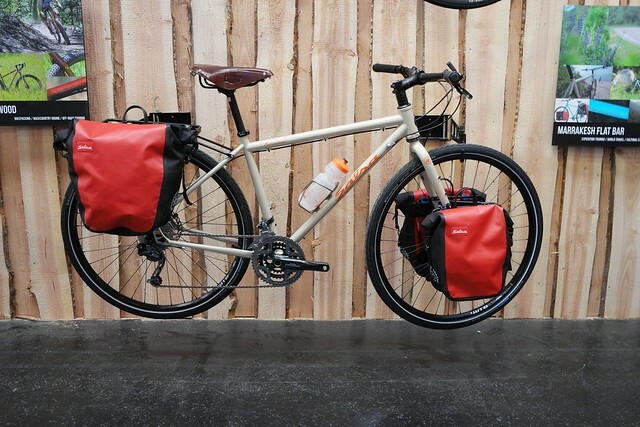 It uses mountain bike wheels and parts, but offers a few design details especially for touring. 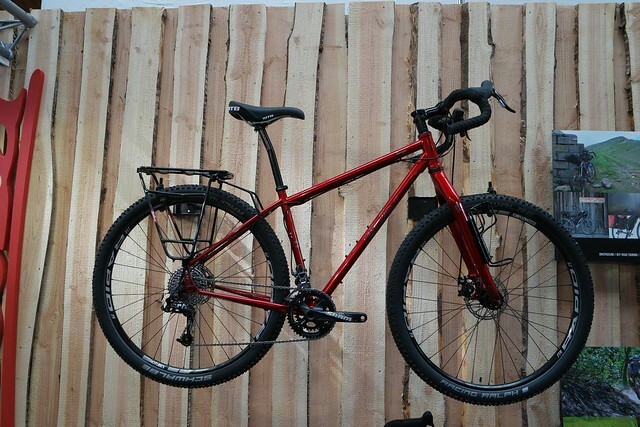 GB’s range hasn’t changed much since last year. 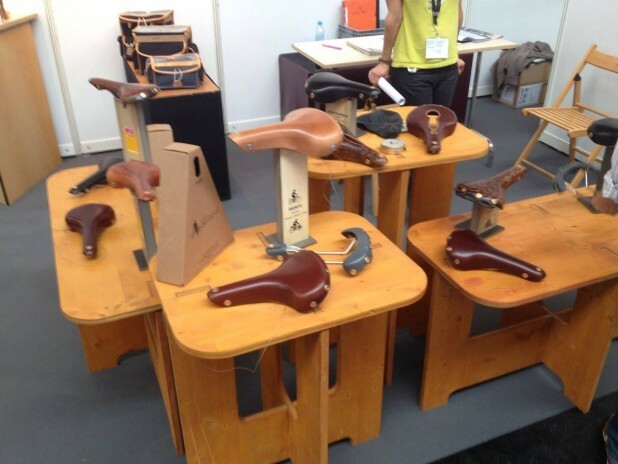 All of their classy, timeless product have stood the test of time, and probably will for a long while to come! 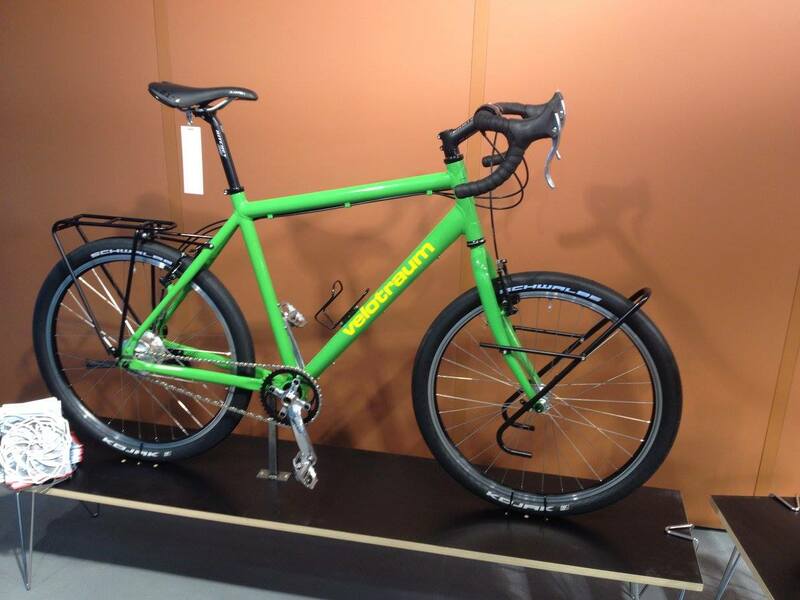 Intec had a Rohloff off-road adventure touring bike on display, in a lovely blue/green colour. 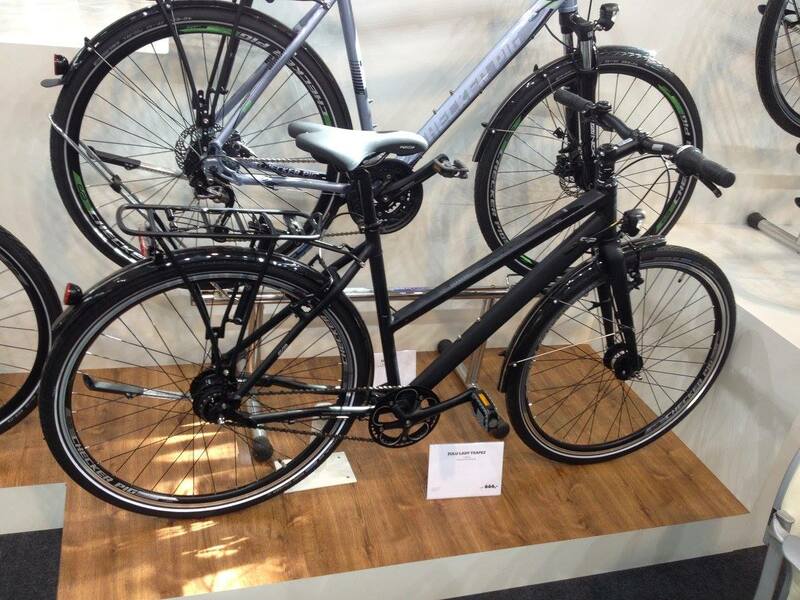 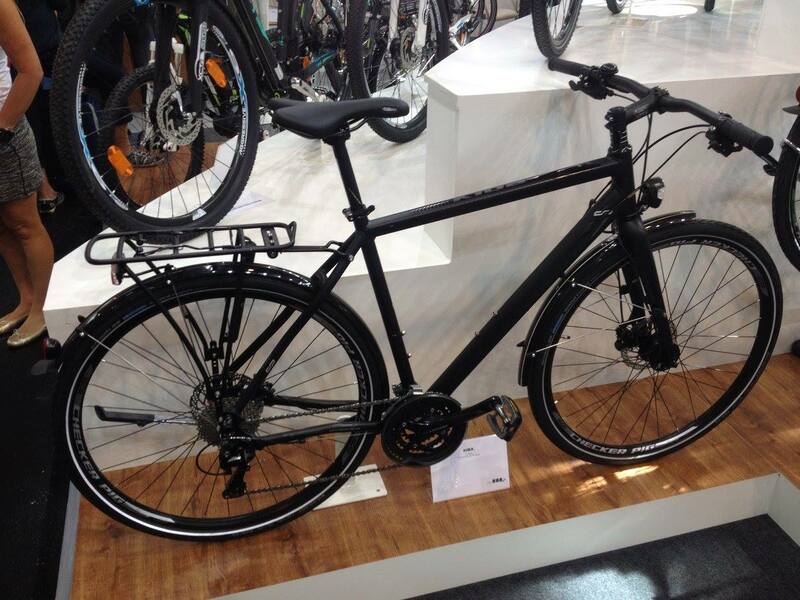 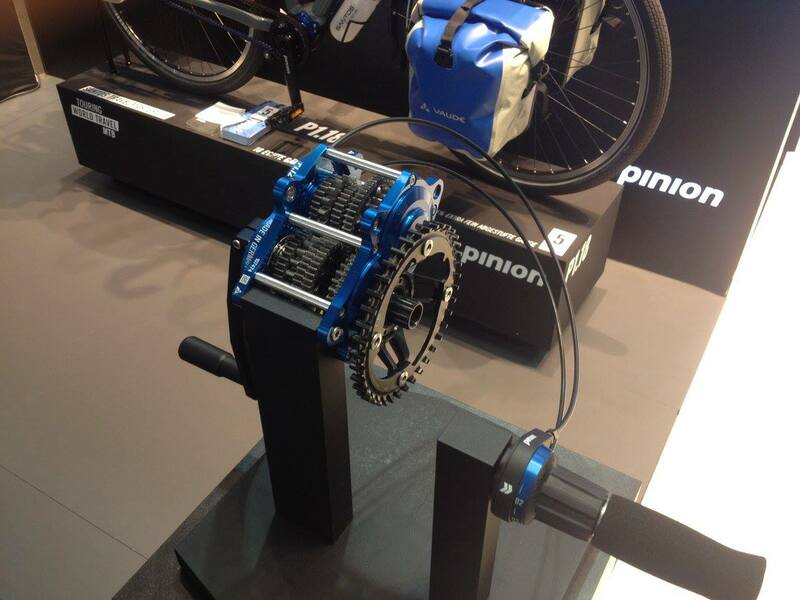 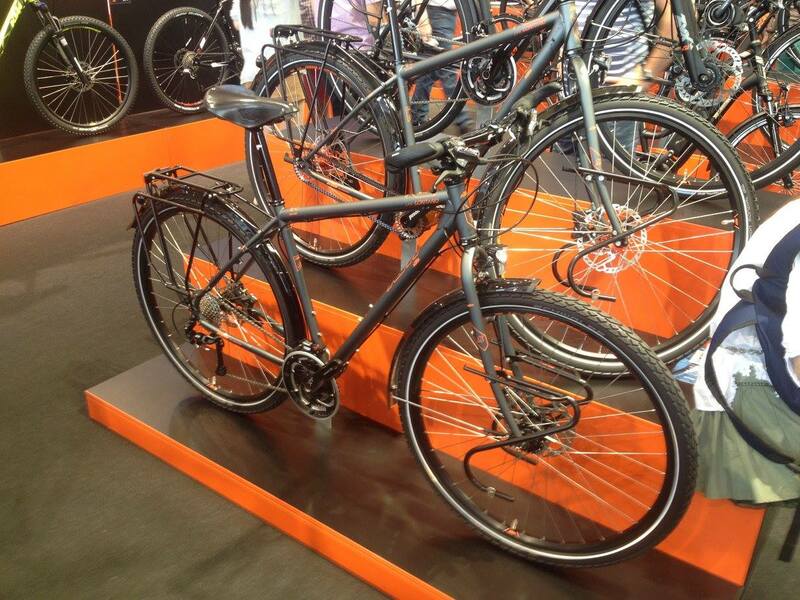 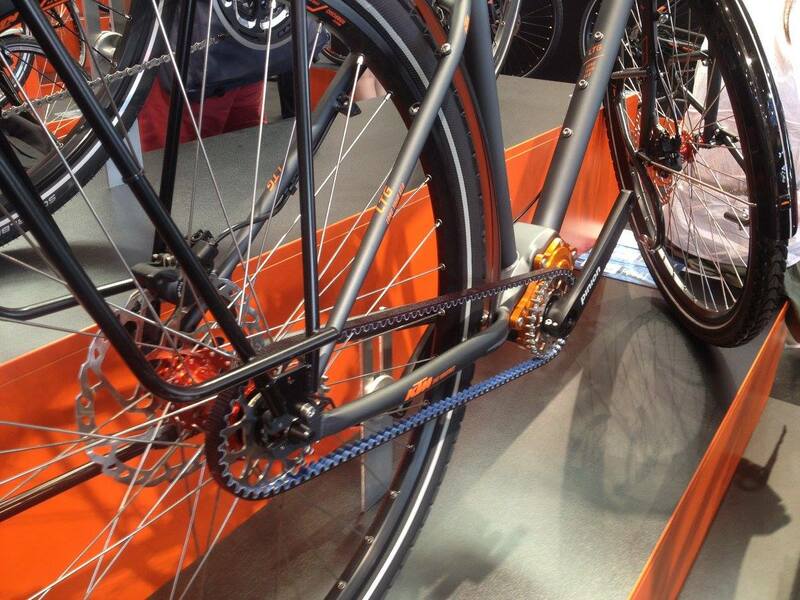 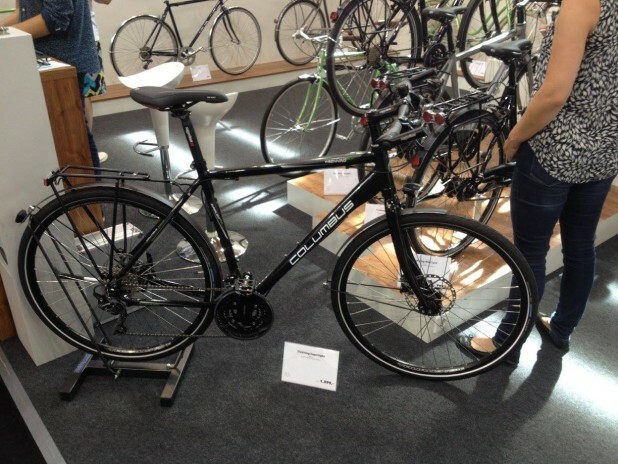 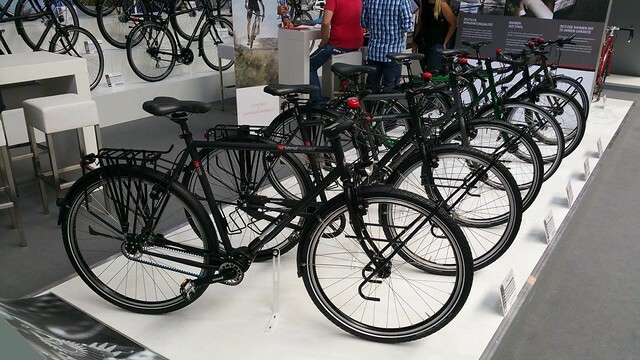 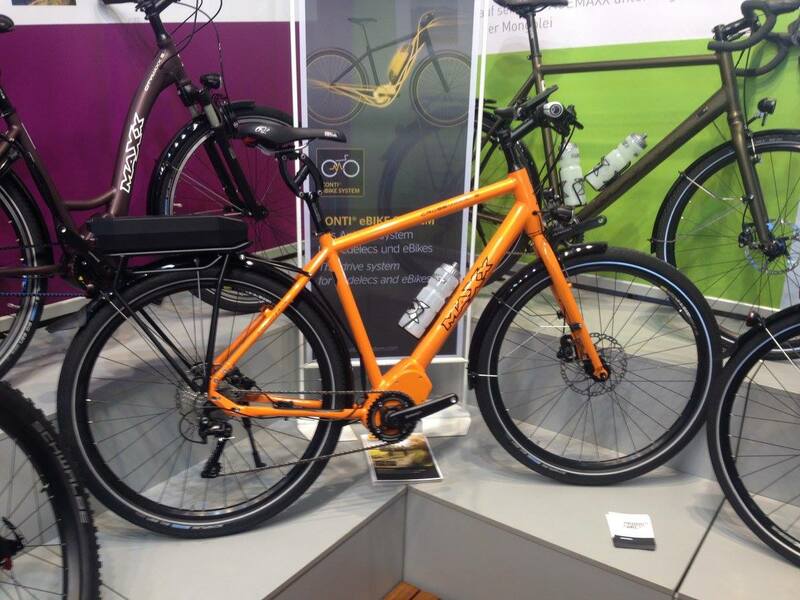 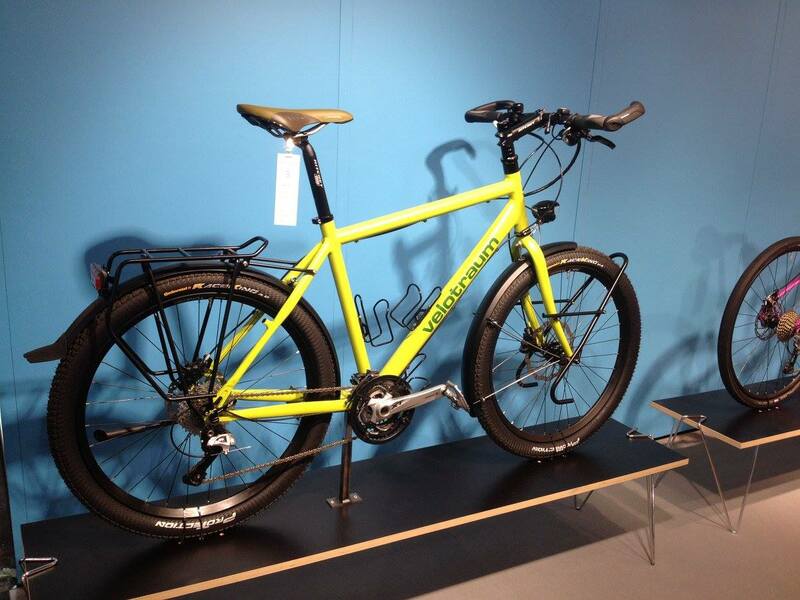 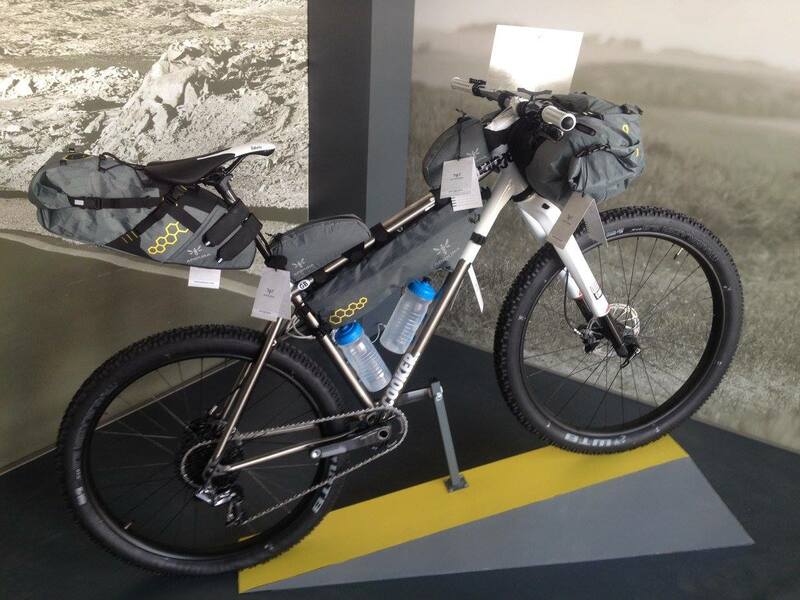 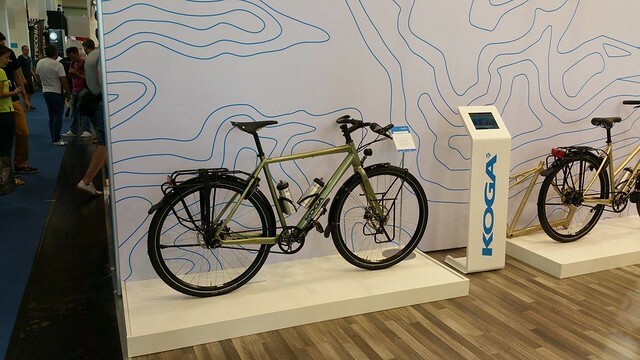 Koga had their latest touring offerings on show, including lots of Rohloff and Belt Drivetrains. 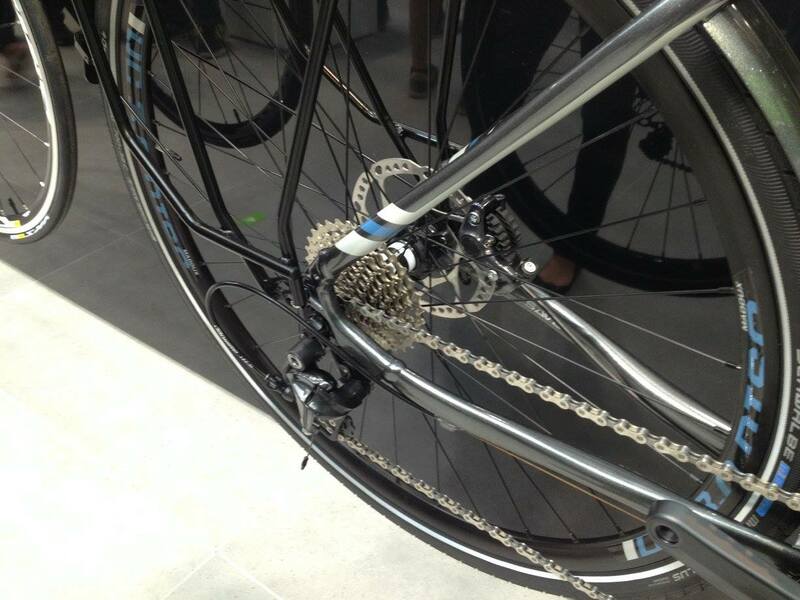 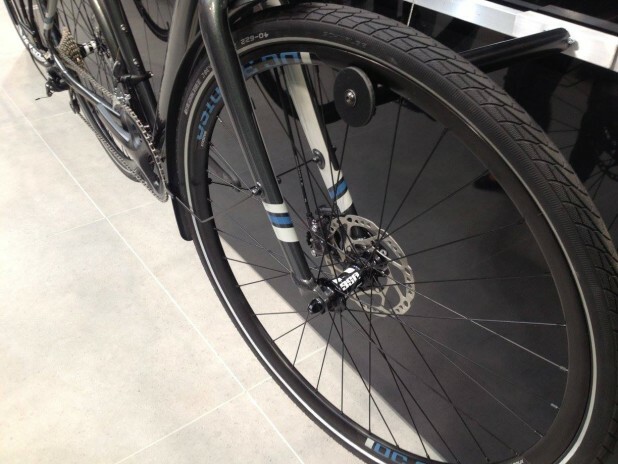 The WorldTraveller bikes now feature eccentric bottom brackets instead of sliding dropouts. I especially like Koga’s step-through touring bikes. Oh, and the last picture is of Mark Beaumont’s bike which he used to break the record for the fastest solo ride of Africa! KTM brought their exceptionally well-priced Life Lontano touring bike to the show last year where it won a Eurobike award. At 3399€, it’s pretty much equipped to ride around the world out of the box, with a steel frame, dynamo lights, Gates Carbon Drive and a Pinion 18spd gearbox. 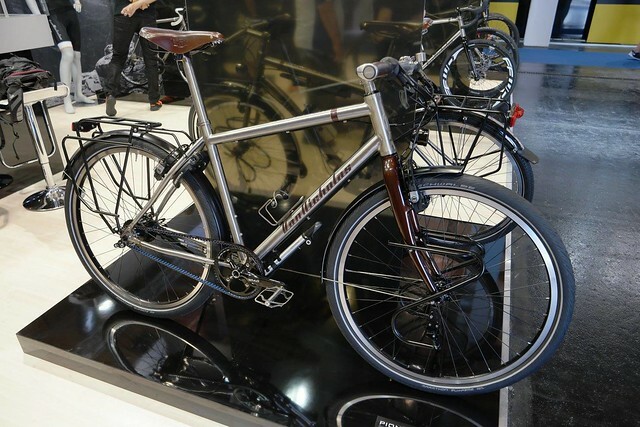 Maxx was showing their aluminium touring bikes as well as a few interesting e-Bikes. 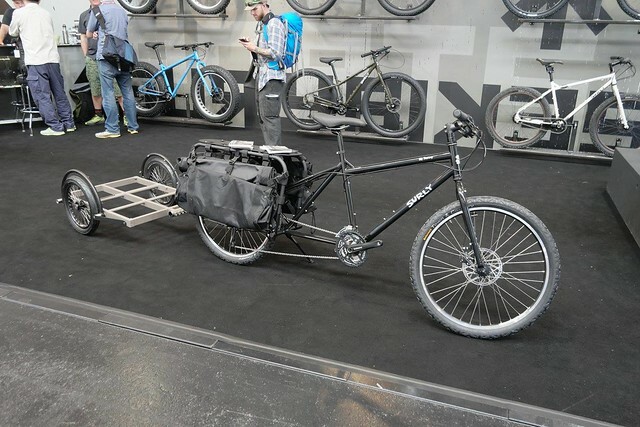 The first pic is of a neat trekking e-Bike, the last images are of a dual suspension fat e-Bike with a very powerful motor. 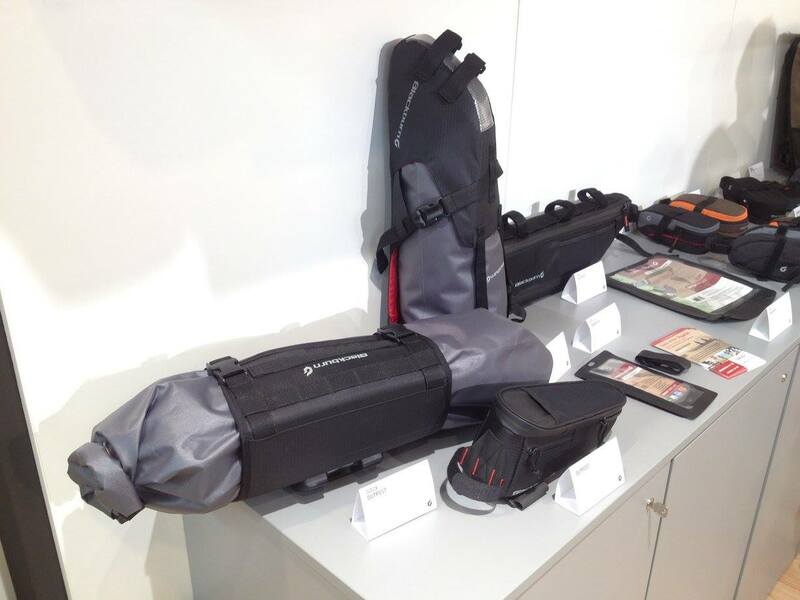 The batteries are so big you have to carry them in a backpack! 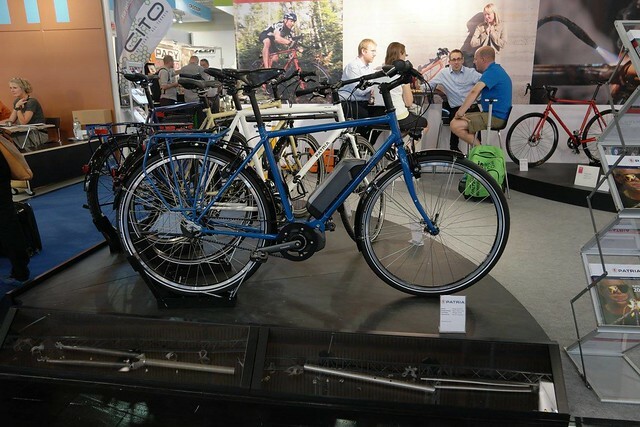 MTB Cycletech had lots of touring/trekking/travel bikes to show this year. 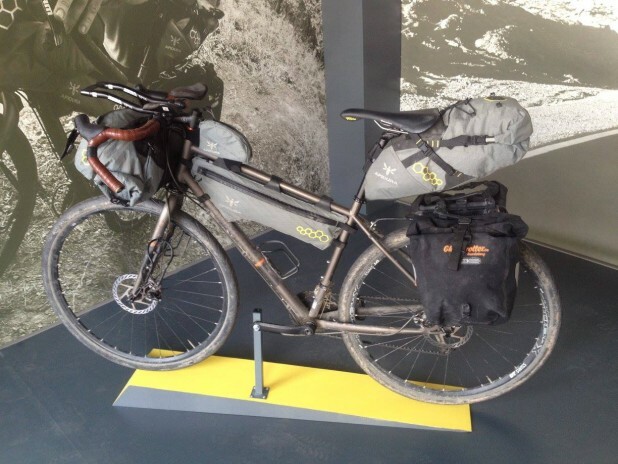 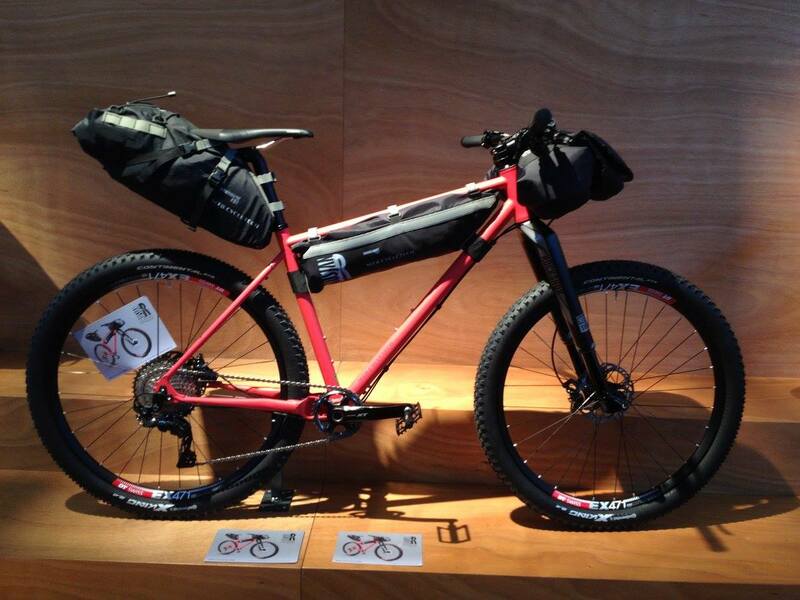 Some set up as full-blown touring bikes, others as mountain bikes with bikepacking bags. They extensively used Pinion 18s gearboxes, Rohloff hubs and Gates Carbon Drive across their range. 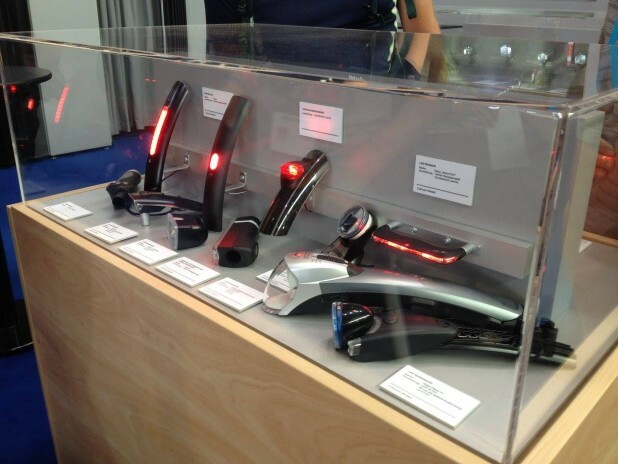 What a great line up! 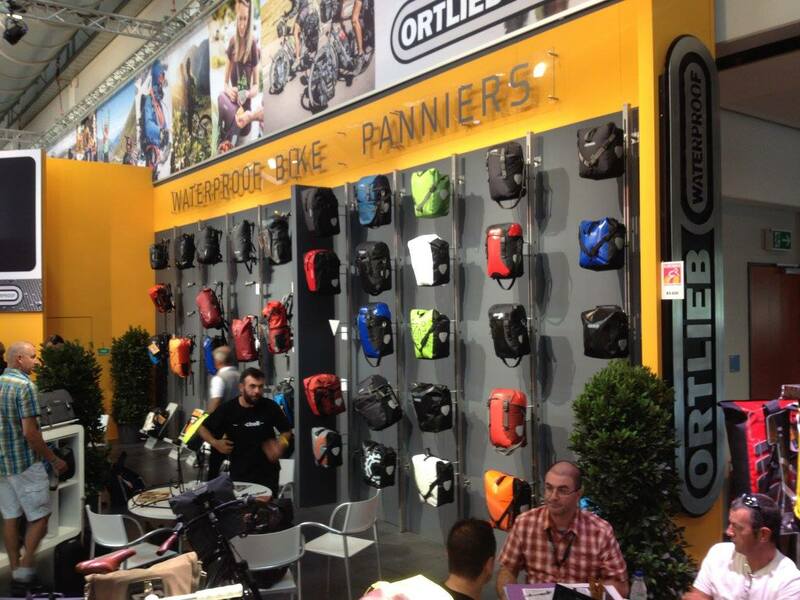 With the exception of new product colours, Ortlieb didn’t have much new gear on show. 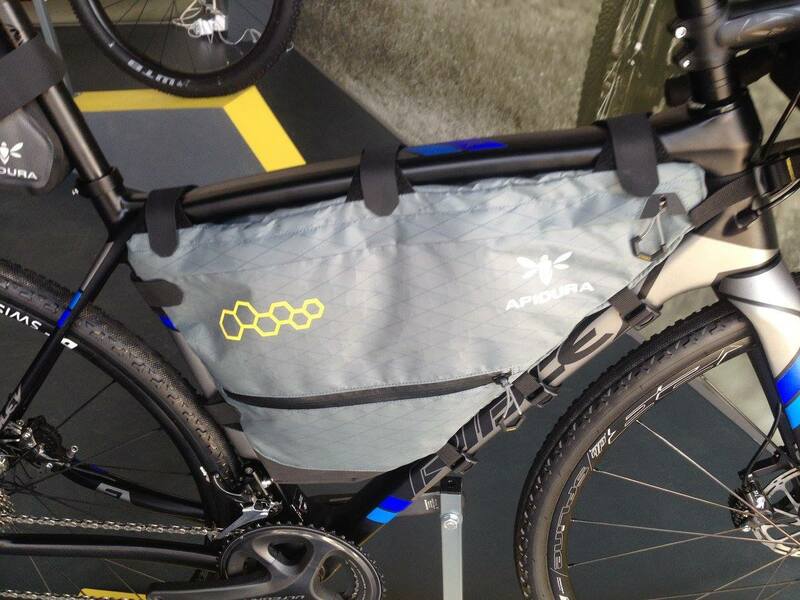 It’s good to see they have extended their reflective fabrics to their smaller bags. 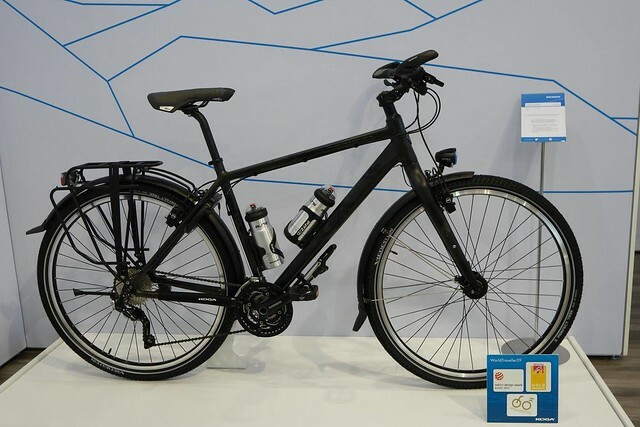 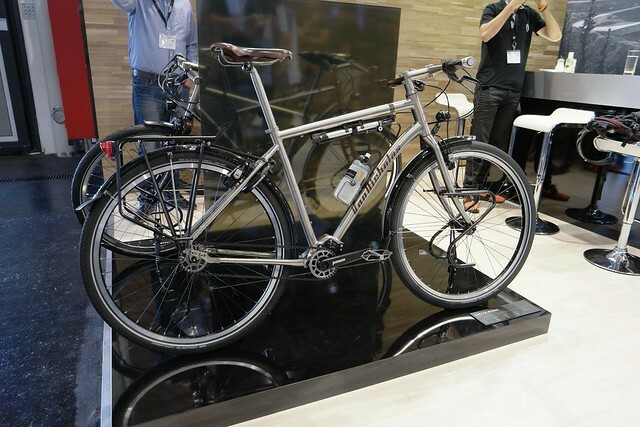 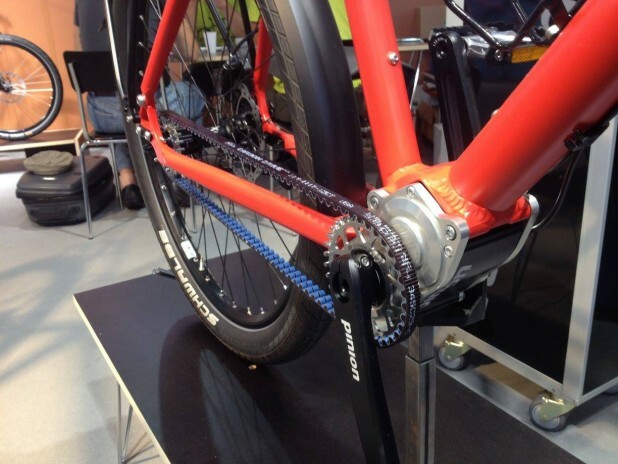 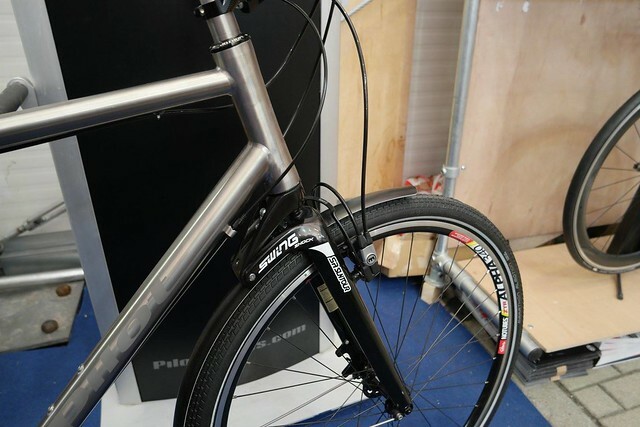 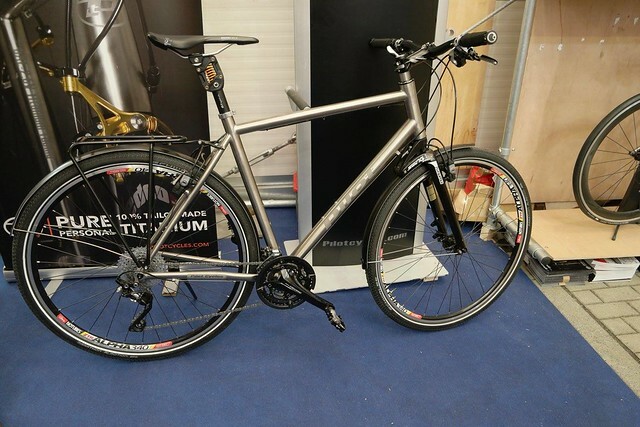 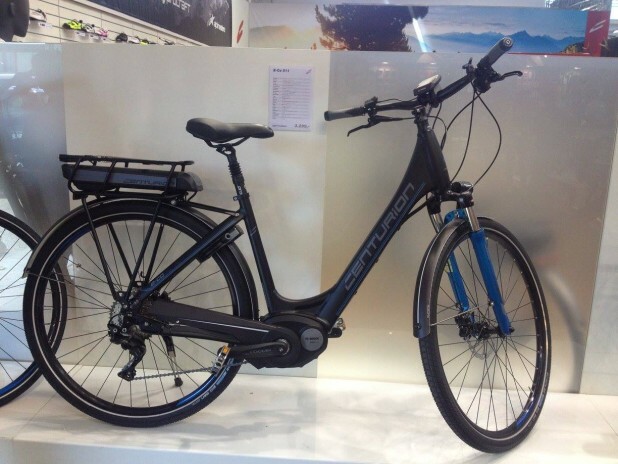 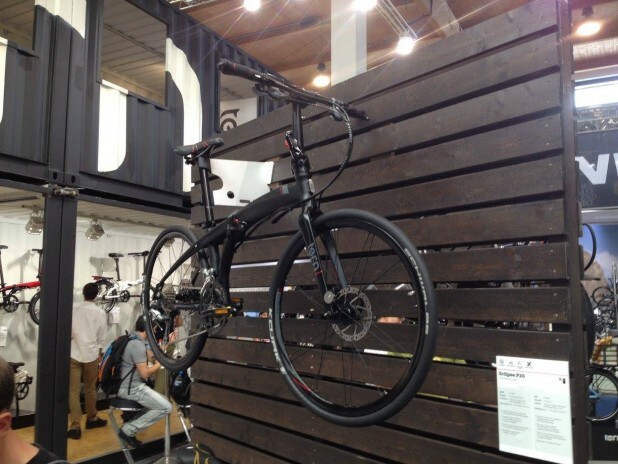 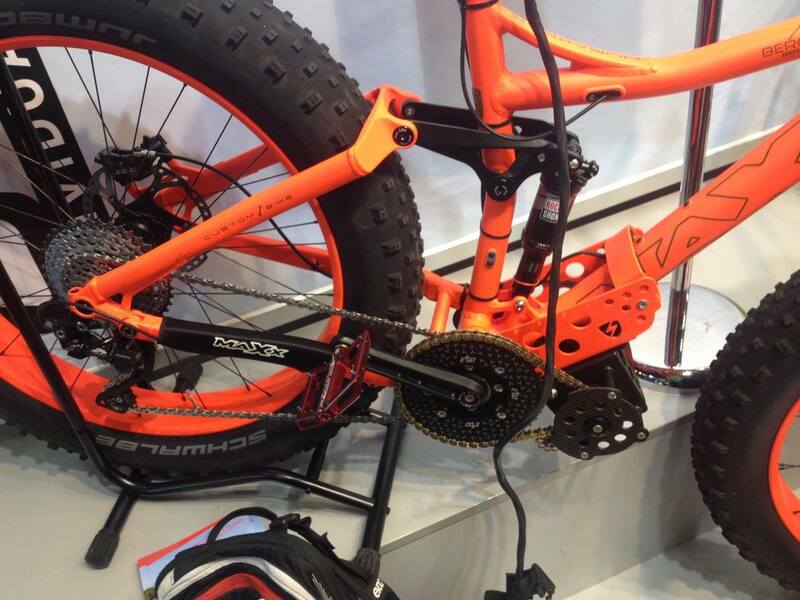 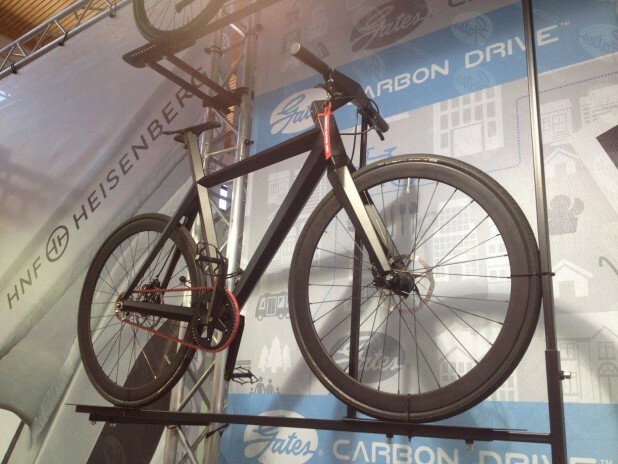 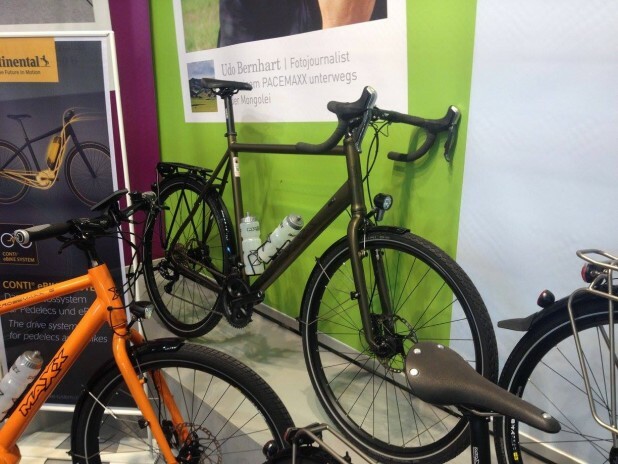 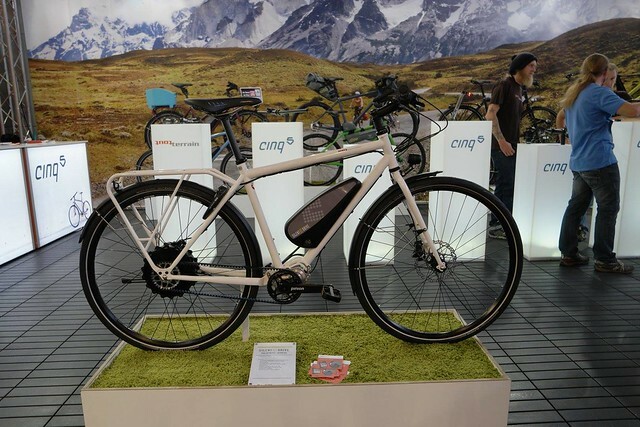 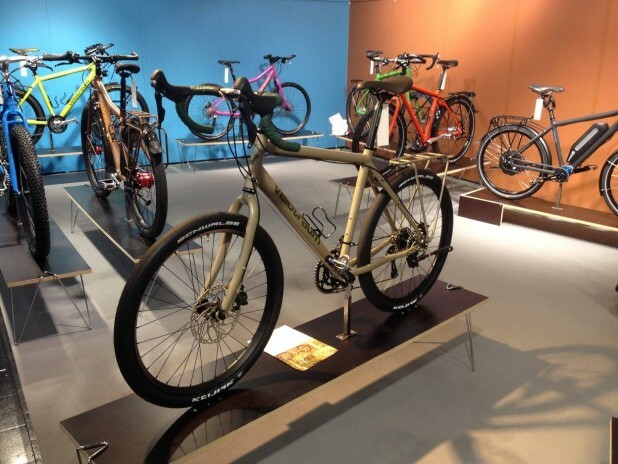 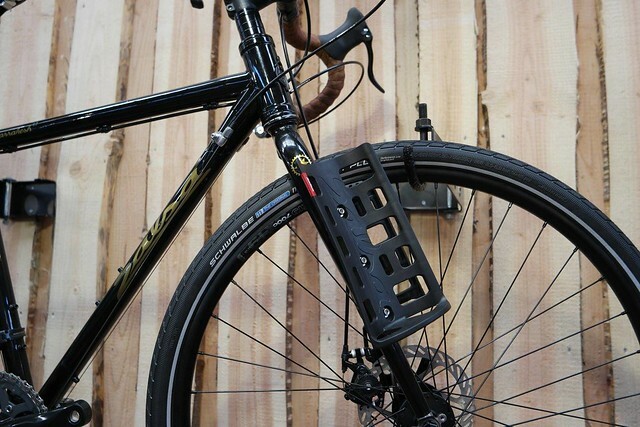 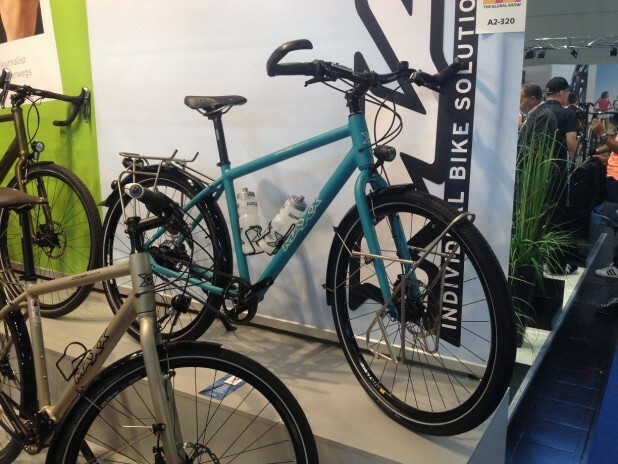 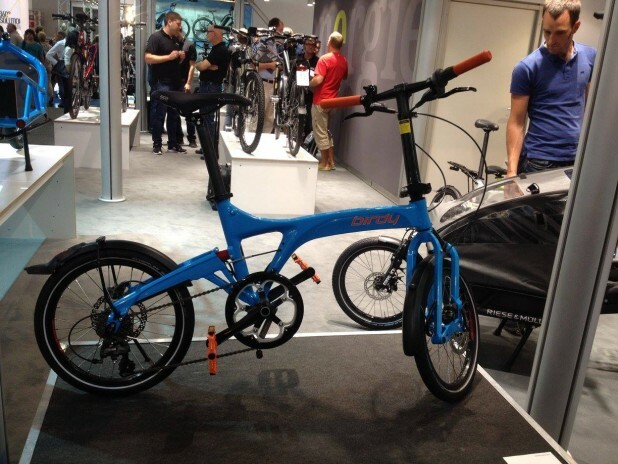 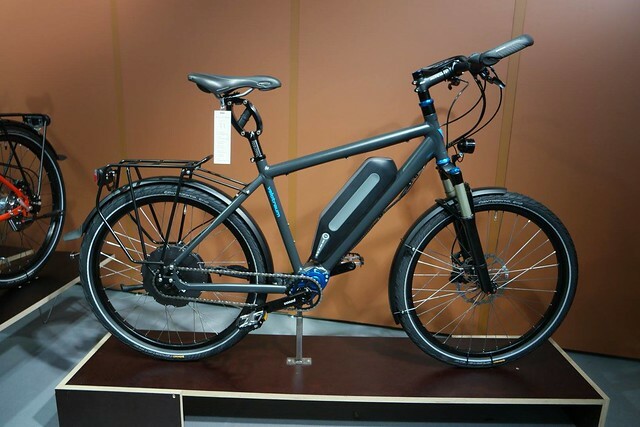 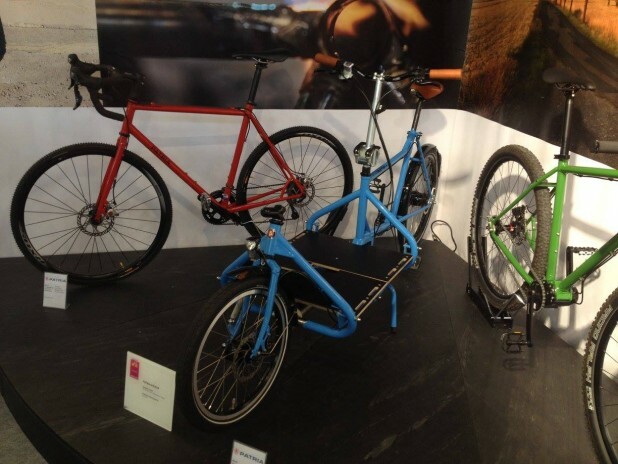 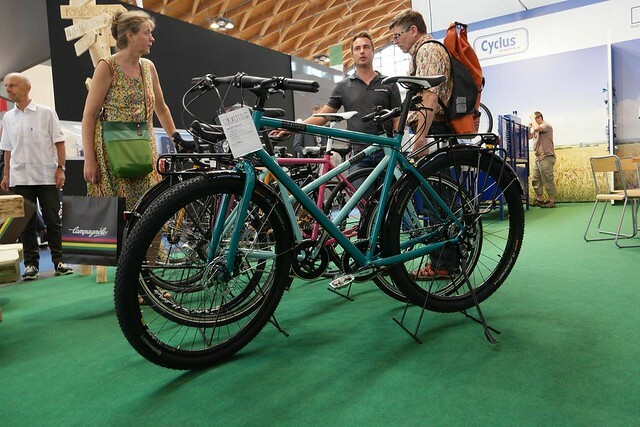 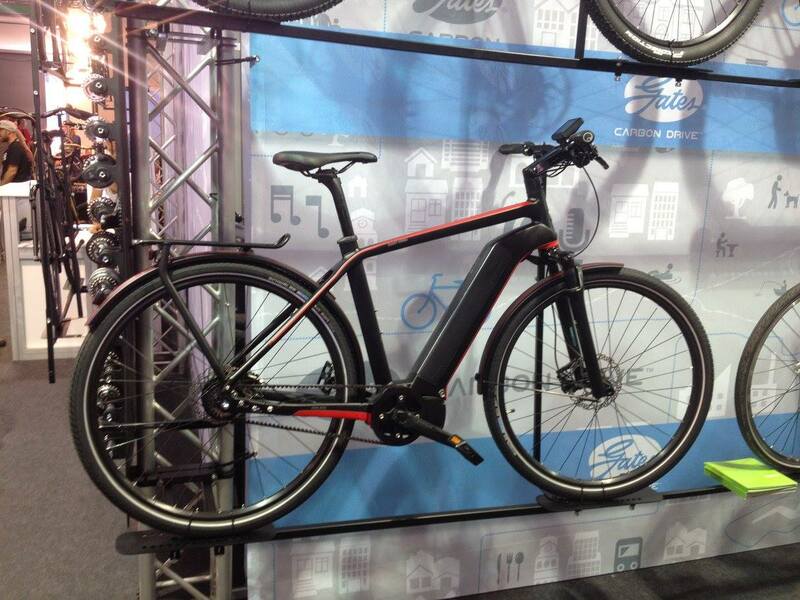 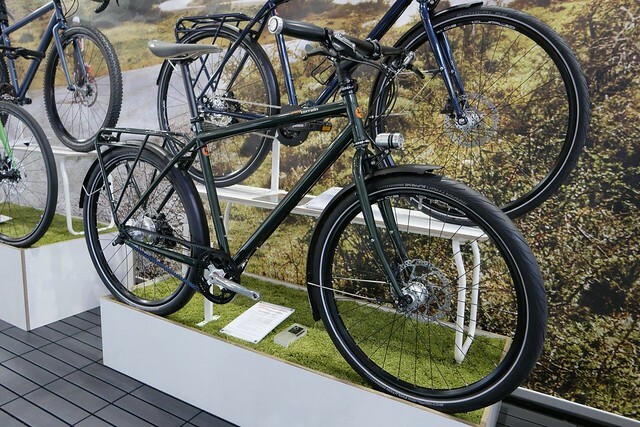 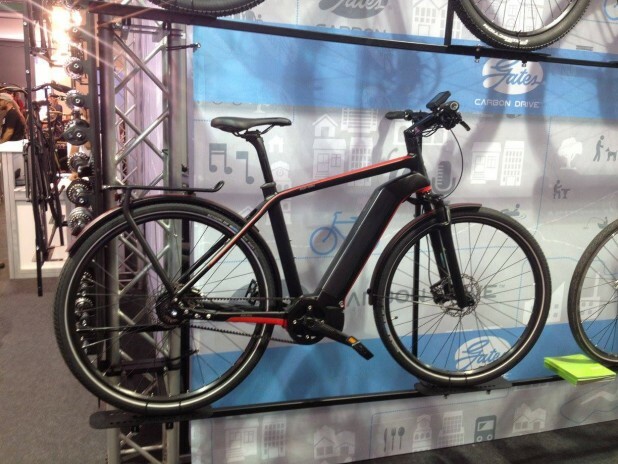 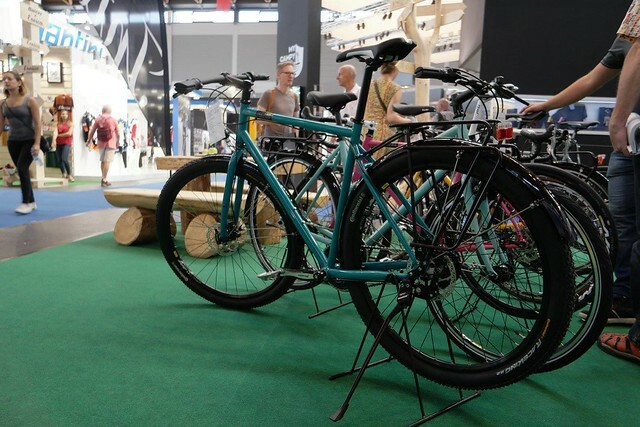 Patria had some touring e-Bikes, cargo bikes and Pinion equipped mountain bikes on show. 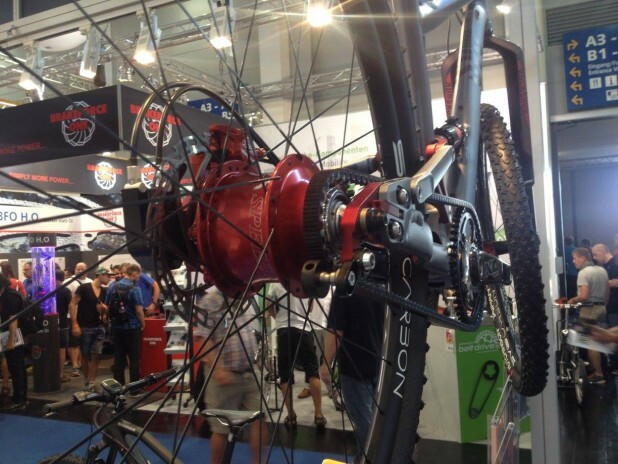 The biggest news from Pinion is that their product is available on so many more bikes for 2016! 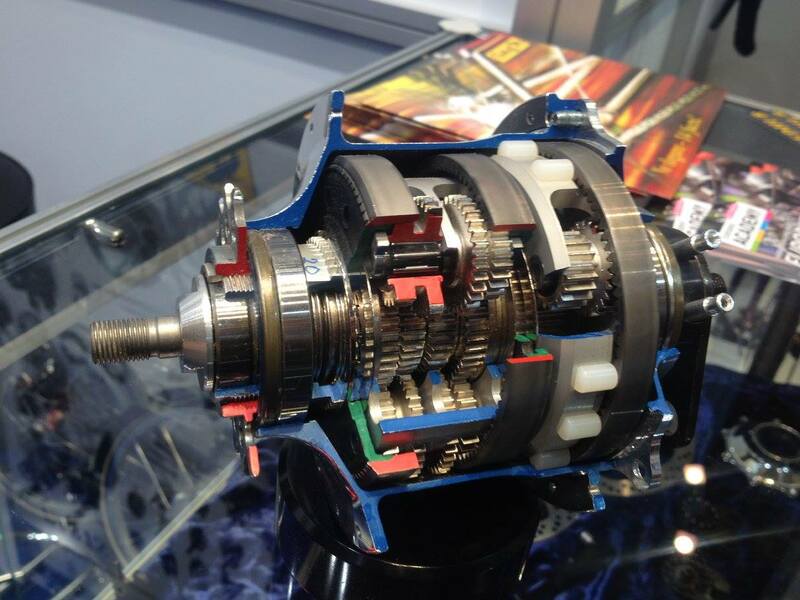 The gearbox products they offer remain untouched. 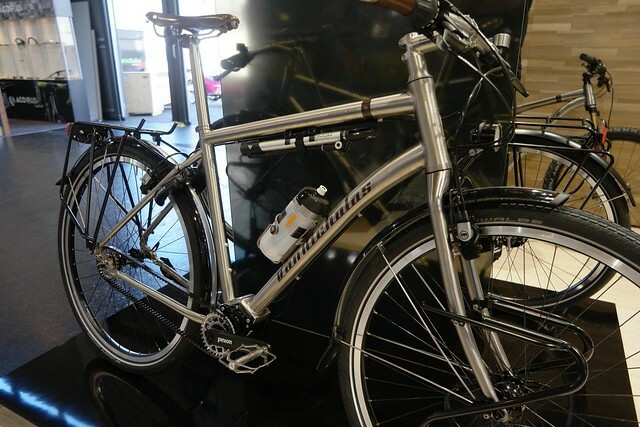 This titanium trekking beauty from Pilot features a suspension seatpost and SR Suntour Swing fork. 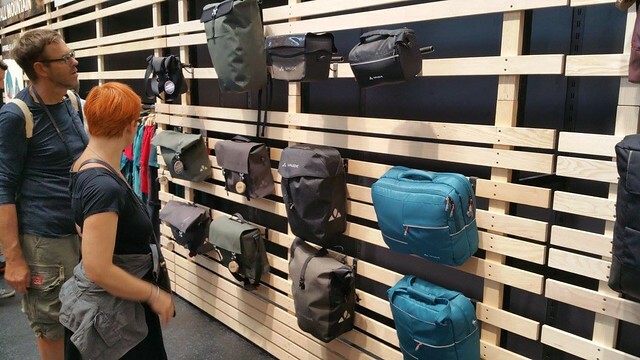 A handful of new racks, baskets and bags from Racktime. 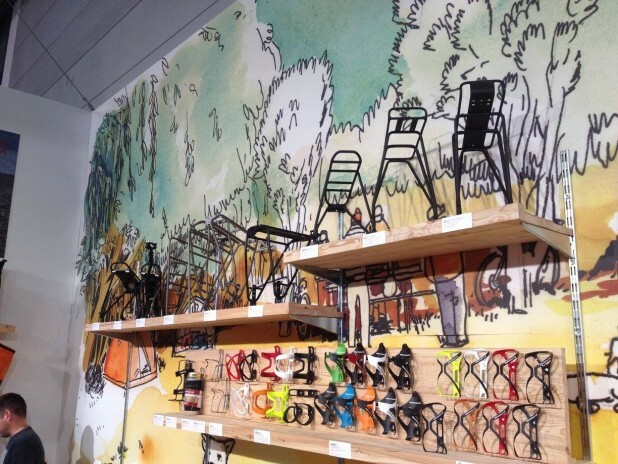 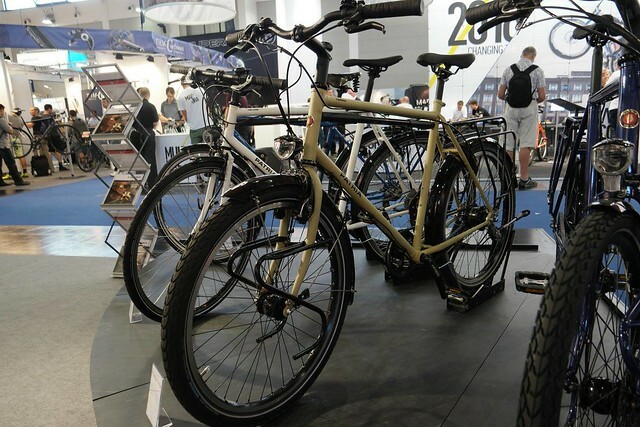 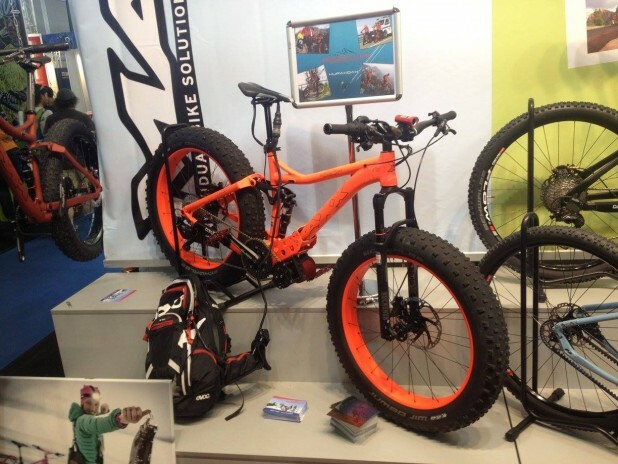 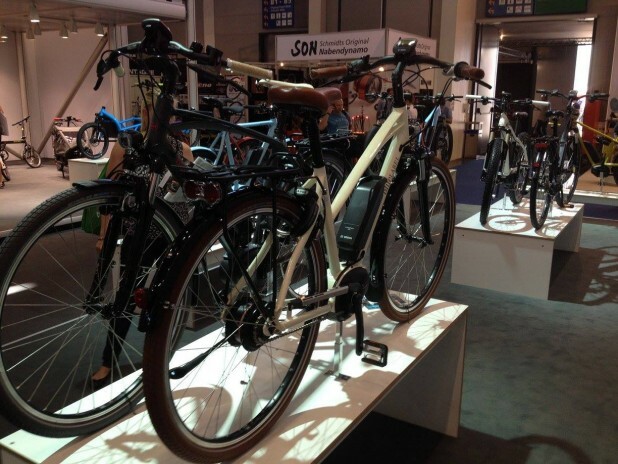 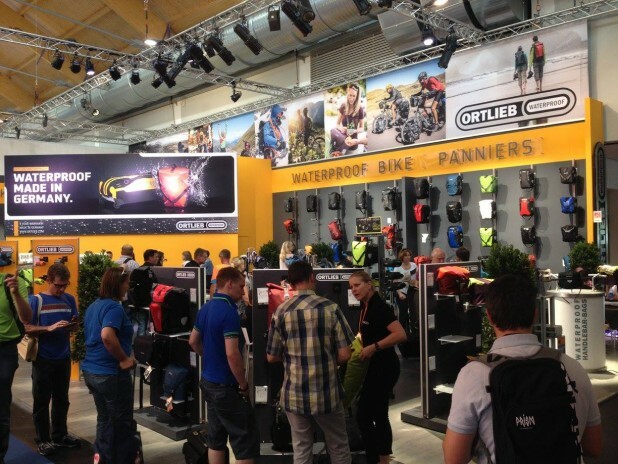 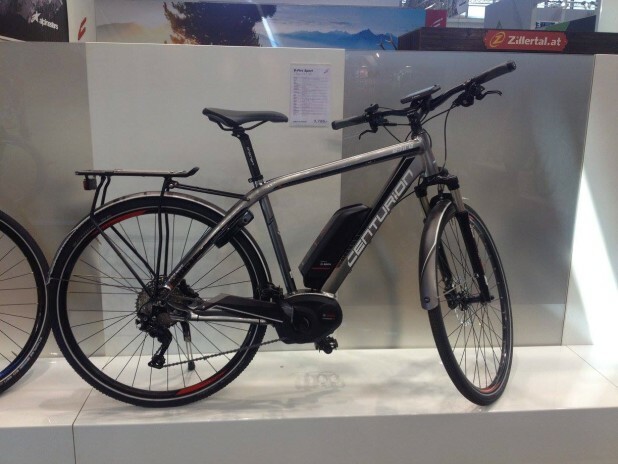 Lots of electric trekking bikes from Riese und Muller this year! 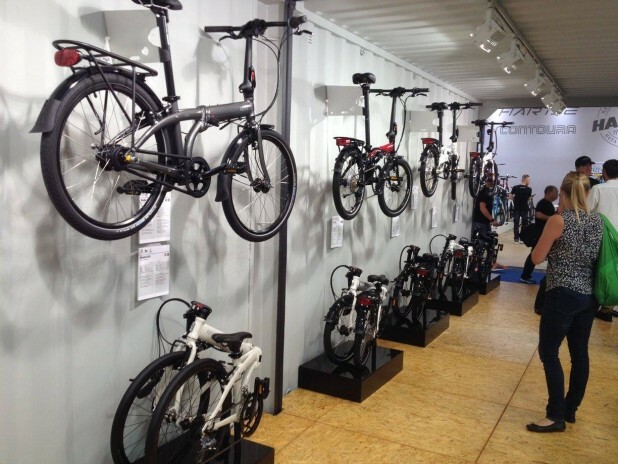 Is this a sign of things to come for the European market? 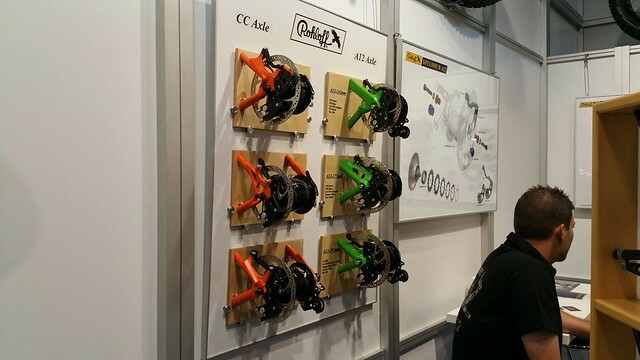 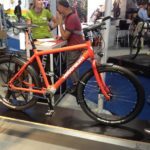 Rohloff just announced new products and updates to current Rohloff hubs. 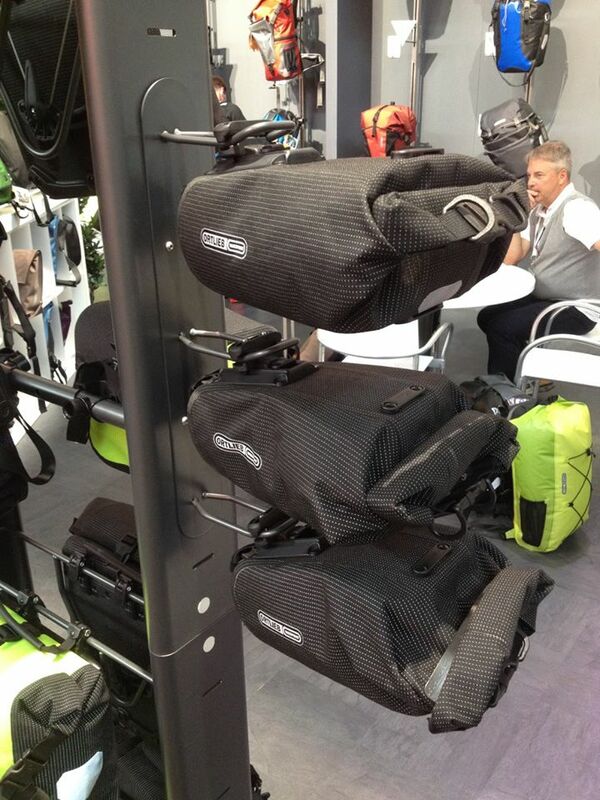 Head over HERE for all the goss. 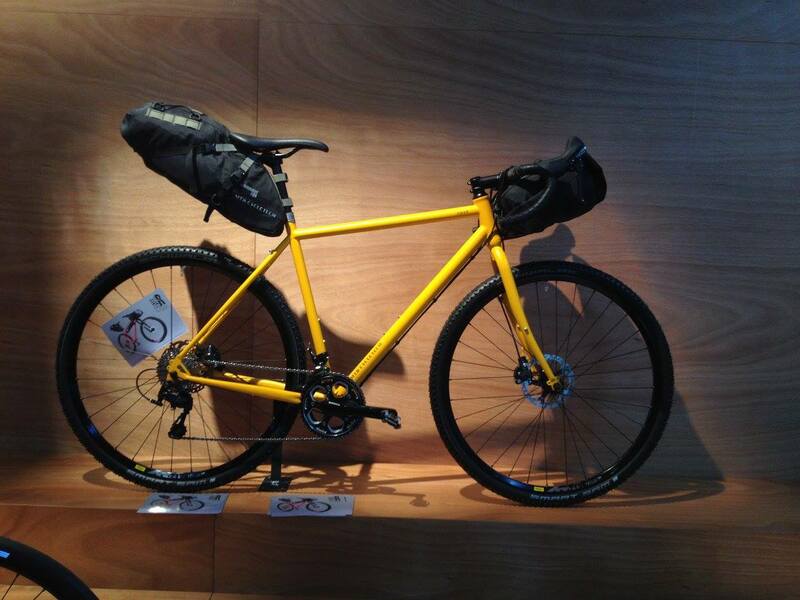 Salsa had on show their new world touring bike, the Marrakesh. 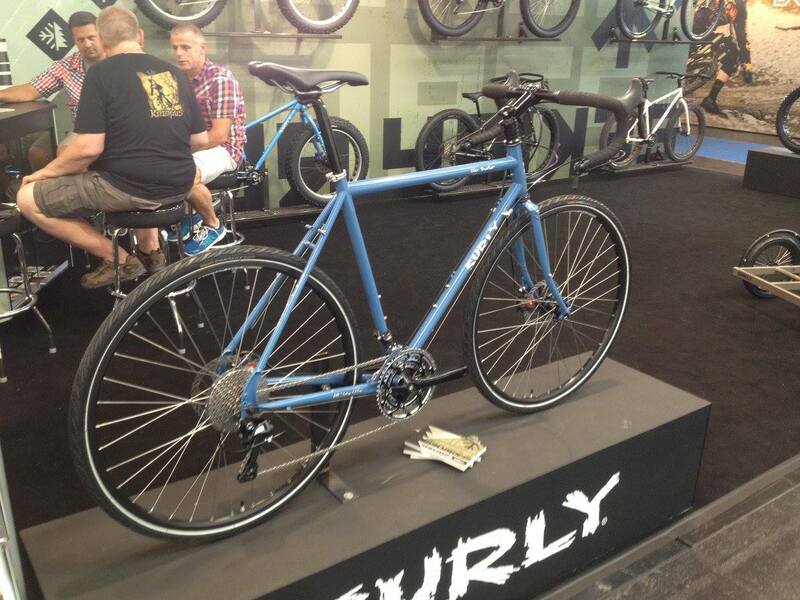 This is one of the nicest and smartest specced US $1500 touring bikes around! 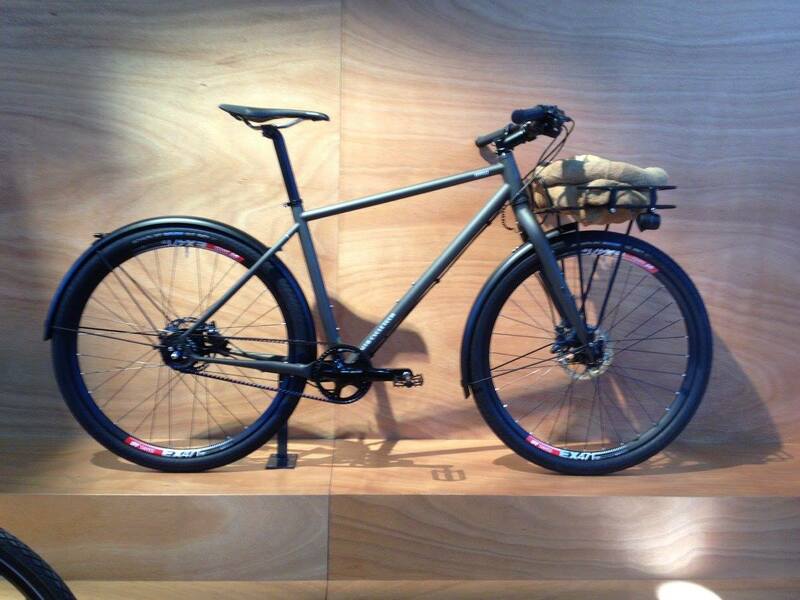 Head HERE for more info on why this bike is special. 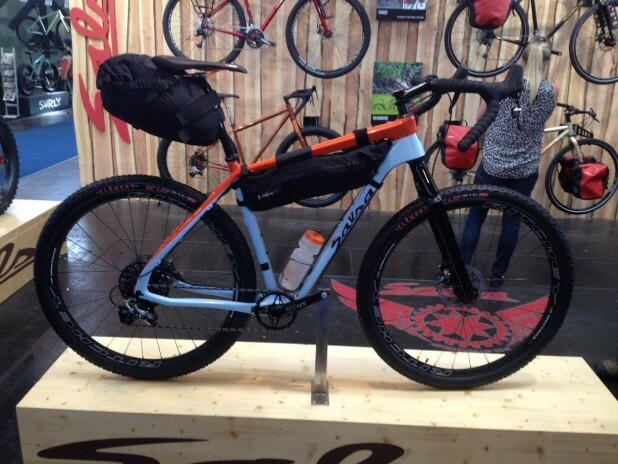 Salsa also had their carbon off-road bike, the Cutthroat on show with bikepacking bags, their beautiful red Fargo, as well as their updated gravel bike, the Vaya. 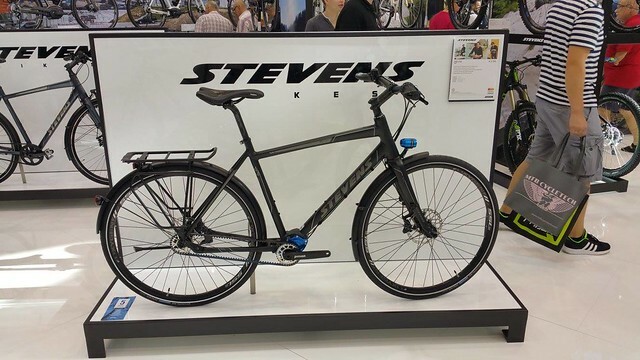 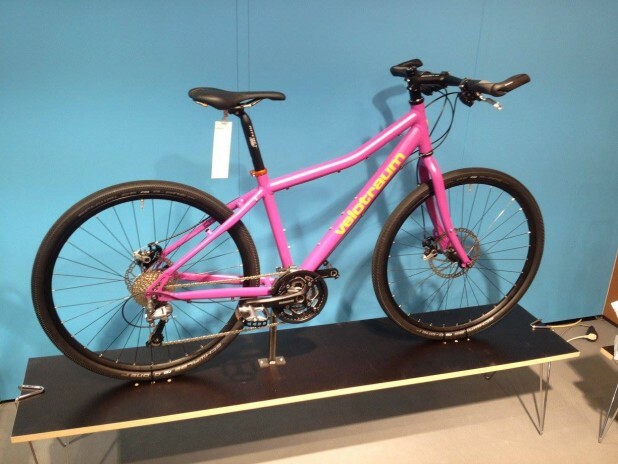 Stevens had their top trekking bike, the P18 Lite on display, with colour-matched front Supernova light and Pinion gearbox! 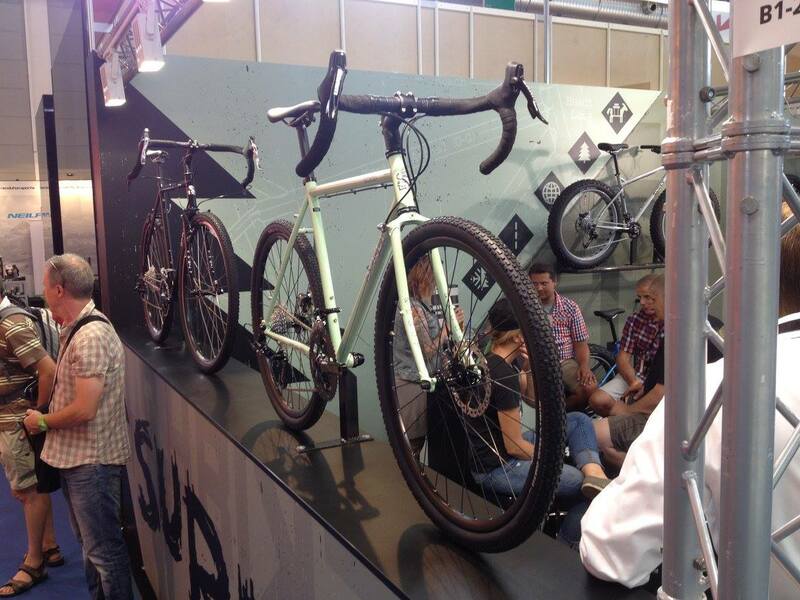 Surly made a few updates to their colours for 2016, in addition to a groupset change on the Straggler from Shimano to SRAM. 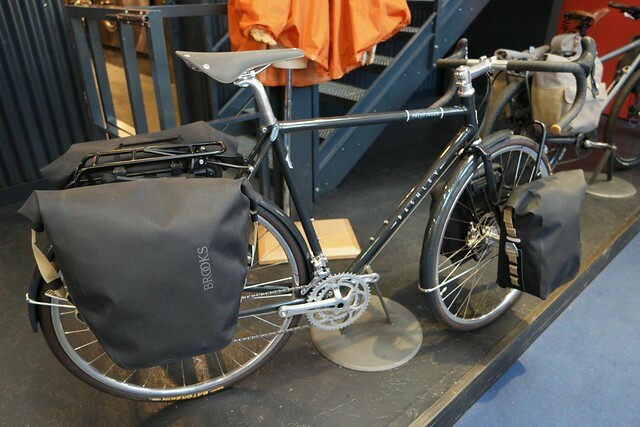 Tern made some small updates to a few of their folding bikes (have you seen our REVIEW of the P18?) 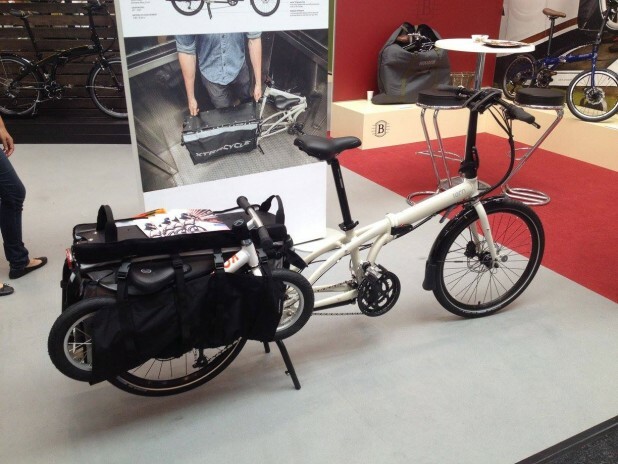 but the new product of the show was their folding cargo bike! 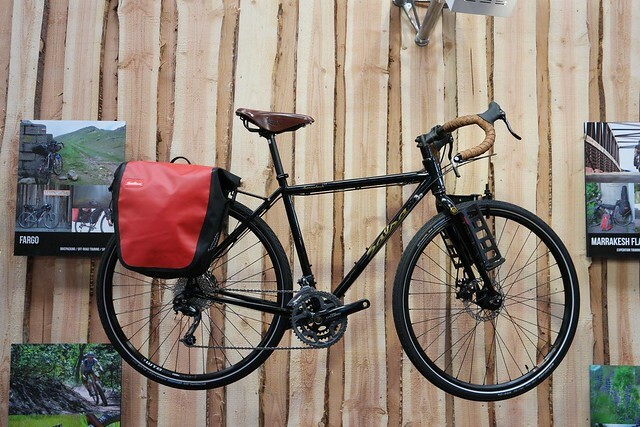 Tout Terrain had their usual touring goodness including a new off-road touring bike with drop handlebars, employing a Rohloff 14s hub and Gates Carbon Drive. 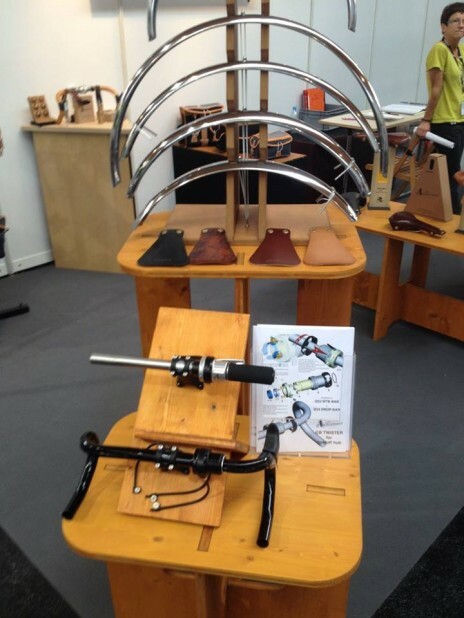 Van Nicholas does some pretty amazing things with titanium! They had one of each of their premium touring bikes: a Rohloff and a Pinion bike, both running Gates Carbon Drive. 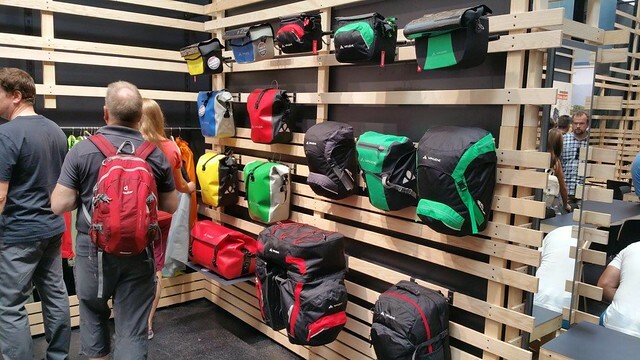 Other bag giant Vaude had all of their touring offerings on show. 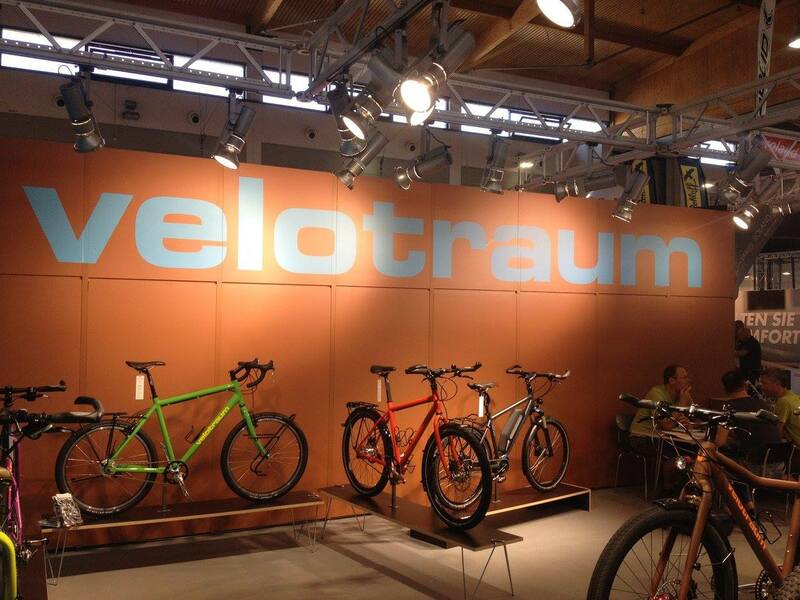 As always, Velotraum had a large range of touring and trekking bikes, many with Pinion gearboxes, Gates Carbon Drive and Rohloff hubs. The off-road trekking e-Bike looks rather cool! VSF had their full range of touring bikes on show, including their top end model, the TX-1200 with a Pinion gearbox and Gates Carbon Drive.